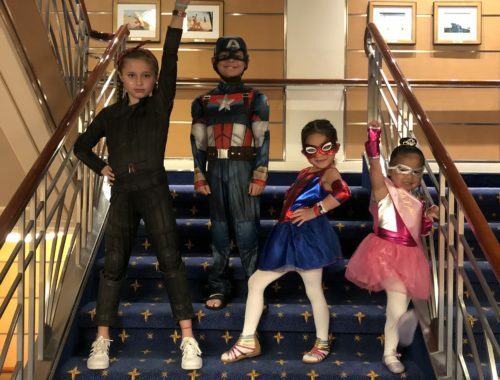 1: If you want to see a recap of our first Disney Cruise from two years ago, click HERE. We had such a good time on that trip too!!! 3: I probably shouldn’t say this because it’s really no one’s business but mine, but I have never been paid to go on a vacation. Ever. Disney didn’t pay us for this trip. We booked it just like everyone else’s trips and paid the same prices. The only difference is that I get to keep my commission on this sale. The ONLY reason I’m telling you this is because I want you to know from the bottom of my heart that these posts are genuine and authentic and not bought. (But hey, if someone wants to send me and my family on a free trip…I’m up for that too. Ha! ) My travel agency is growing and we LOVE what we do!! We send people all over the world, but two of our most popular destinations are Walt Disney World and Disney Cruise Line, so of course, it’s easy for us to get sucked into the magic as we’re planning. 4: What’s a Land & Sea vacation? Well that’s when you do both Walt Disney World and a Disney Cruise in the same trip. This is something Disney makes easy and fun for the whole family, and we’ve been planning them forever but never taken one ourselves. 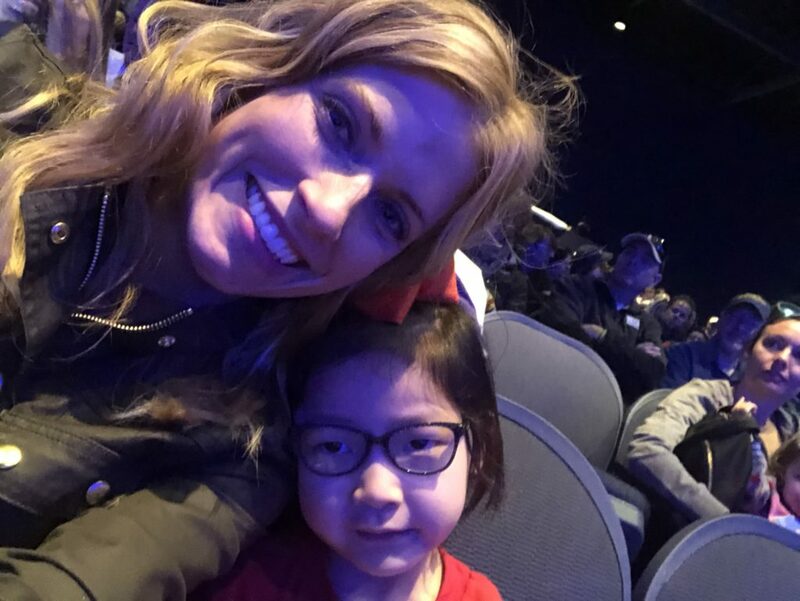 Both Erika and me have been to Walt Disney World and on a Disney Cruise, but we wanted to discover the magic of doing them both at the same time. Want to hear something fun? We had THREE other families from our agency on board while we were there doing the exact same thing. It was such a fun time!! 5: I did not do a great job taking pics for these posts. I always have intentions of taking a million pics of my family, but guys, I get caught up in the moment and totally forget. So, there are a lot of random selfies, action shots and unposed pics…what can I say? It’s hard to remember to pull out your camera/phone when you’re having such a good time!! So, that wraps up my random tidbits for today, if you want to get in touch with one of us about planning your next vacation, we are currently accepting new client vacations for Walt Disney World, Mexican all-inclusives and cruises all around the world that depart AFTER June 1, 2018. (We plan trips for existing clients anywhere in the world outside the Continental US.) Coming soon…we are going to be opening up a new area for new clients, so stay tuned for that! You can reach us at mixandmatchtravelagency@yahoo.com . We left on Wednesday, March 7 for our trip. We picked up the big two a little early from school, but here I am with the littles and Andrew having lunch before we left. We were so excited!!! All she wanted to do was get on that plane to Orlando 🙂 . And we did! 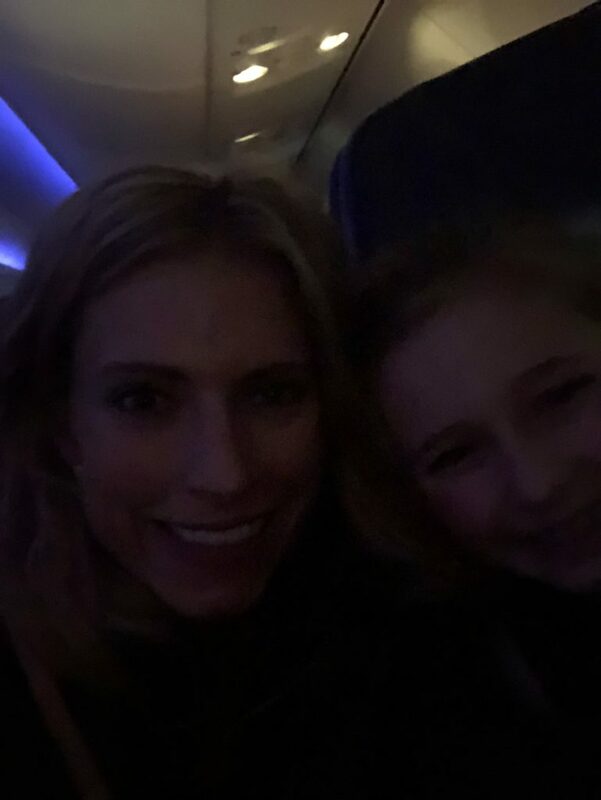 Here are Kensington and me on the flight. We flew into Orlando on Wednesday night (arriving around 8:30) and stayed at a hotel right there by the airport. The Slaughters were on a different flight and did the same. This way, the minute we woke up, we could head out to Walt Disney World. We made it!! We hooked up with the Slaughters for breakfast at the hotel and then headed off on the Disney Magical Express. It was COLD in Orlando while we were there. We were not expecting the temp to be so cool (I’m not complaining, I’d rather be cold than super hot!). These girls were so excited!!! And these guys were too!! I tried counting the number of resorts I’ve stayed at during a WDW trip (I think it’s like 8 different ones), and now, I can’t imagine staying anywhere else. This place was SPECTACULAR!! 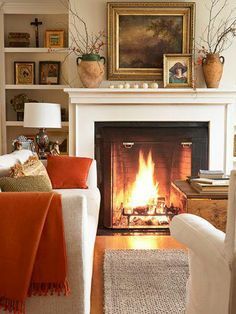 We could have spent a week just hanging out here. These girls are so sweet 🙂 . After we checked in, we were at Hollywood Studios by like 11:00! I ordered our “Thing” shirts HERE. We were SO STINKIN’ EXCITED!!!! I love doin’ life with my partner in crime!!! …he had bought both of them cake pops and little stuffed animals. Ha! He was having as much fun as we were! Next up, Buzz Lightyear and friends on Toy Story Mania! Everyone had fun on this ride! Selfie-ing with 12 is hard work! The girls were WAY into the Frozen sing a long!! I was too! I belted out all the tunes. Hahahahaha! The boys pretty much thought this was torture 🙂 . 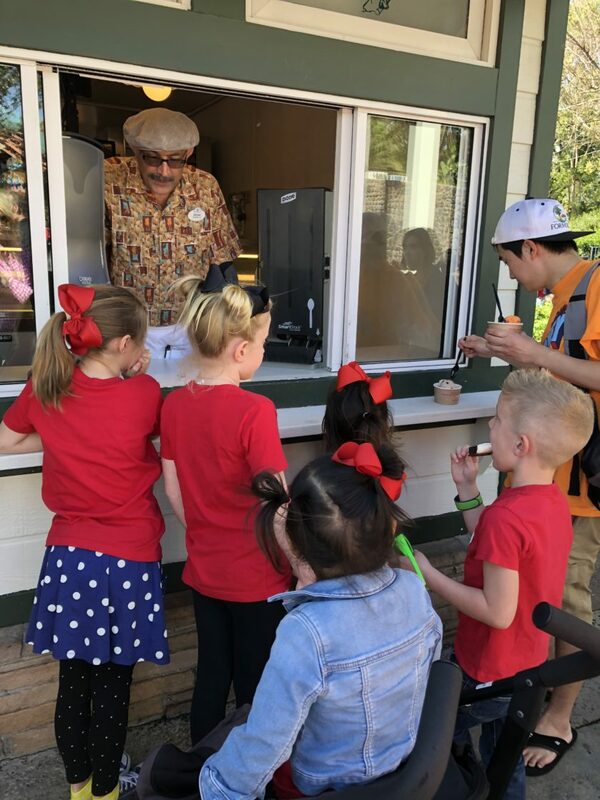 Ice cream break for everyone! …Ashby and Bowen had won prizes for participating in the parade. What?! Andrew said they told these two they could watch the parade and before he knew it, the microphone was in their face and they were talking to the crowd. They have the trophies to prove it 🙂 . Just a girl and her Minnie ears. 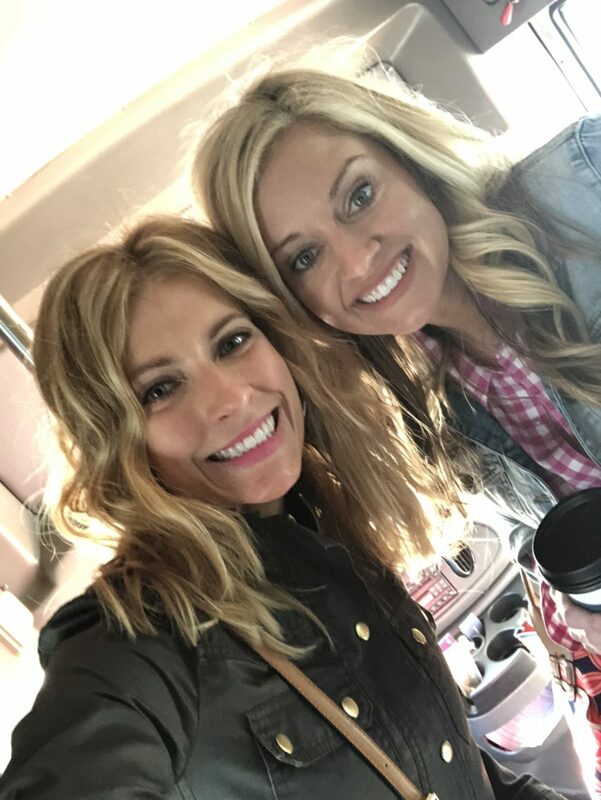 We stopped for a selfie because, hello? Best day ever! …and it was SO GOOD!! I had the chicken pot pie and it was DELISH! Then, it was back to our rooms before bed. We had three bunk rooms. Wilderness Lodge allows 5 guests to a room, so instead of getting four rooms, we got three and Nixon and Smith shared a room with either Tab or Andrew (they took turns). This gave us enough rooms and a little more space. I was quite cozy in this room with my three girls (and sometimes Andrew 😉 ). 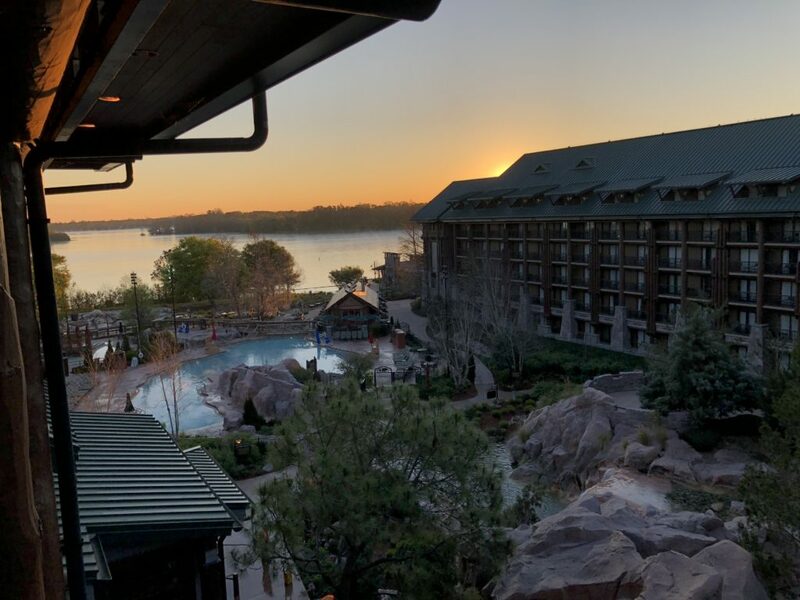 …you are so gorgeous Wilderness Lodge. 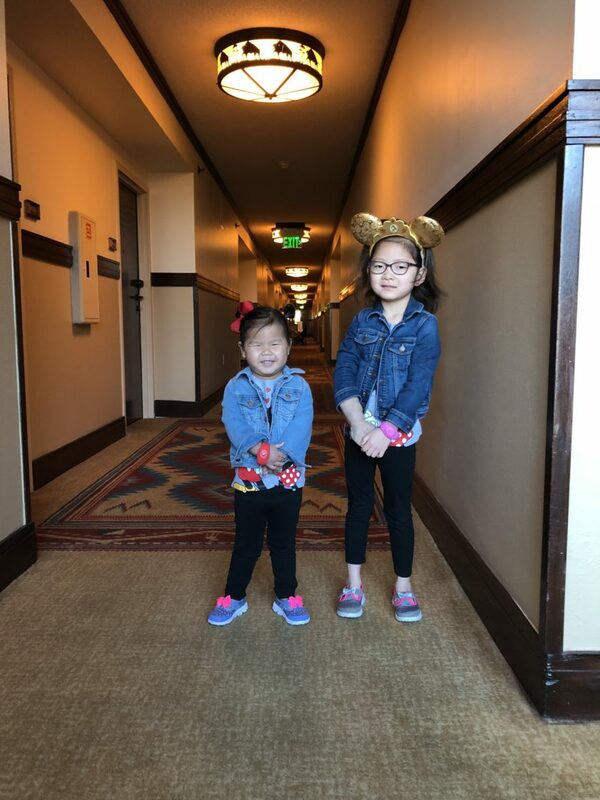 I got my peeps dressed because we were headed to Magic Kingdom!! The boys threw this Nerf football Smith brought approximately nine million times. 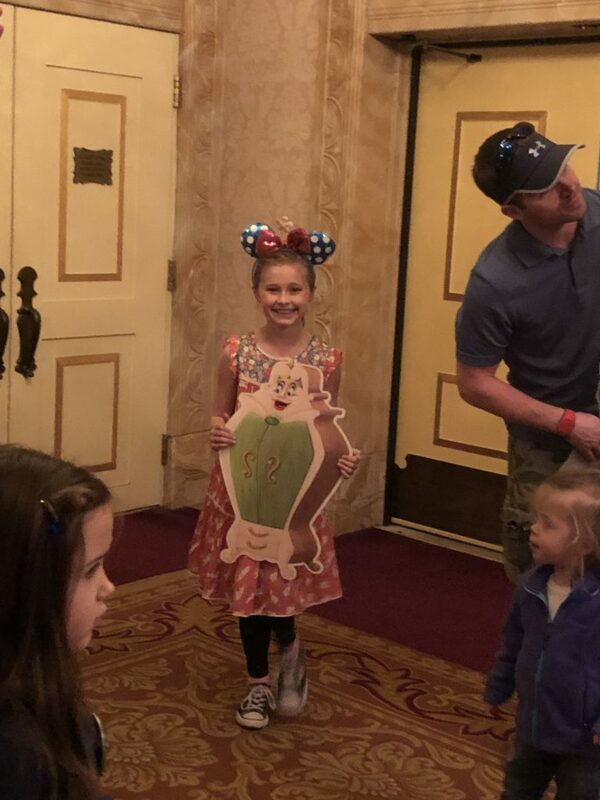 This girl was ready to see Cinderella’s castle! At Wilderness Lodge, you can boat over to Magic Kingdom, so that’s exactly what we did. 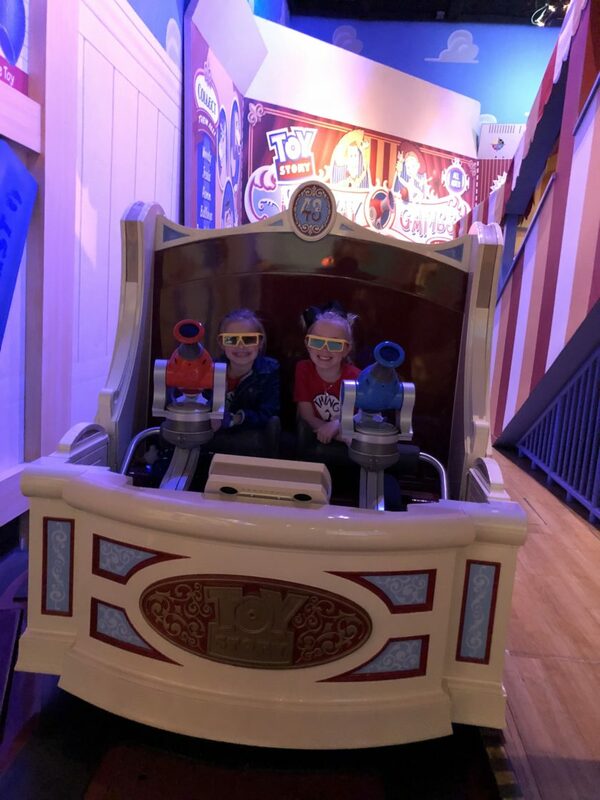 The boys went to ride some rides while the girls rode the Tea Cups! …we were laughing so hard at our little salt and pepper shakers. We met back up with the boys and Erika stayed with the little four while we took the big four on Thunder Mountain. We found our peeps after the ride. This girl was HAPPY! I waited with the little two this time while everyone else rode the Seven Dwarf’s Mine Train. 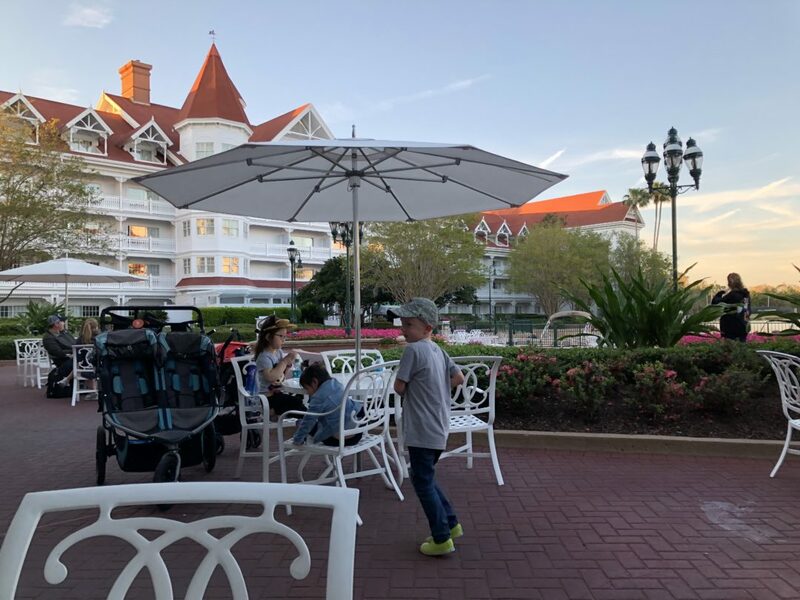 After a full day of riding rides (our sit down meal was lunch at Liberty Tree Tavern, but apparently, I didn’t take a picture), we decided to take a break and ride the monorail to the Grand Floridian for dinner. We didn’t realize how FANTASTIC that idea was until we did it. It was so nice to get away from the crowds and enjoy the view!! We loved it! …it was so nice!!! 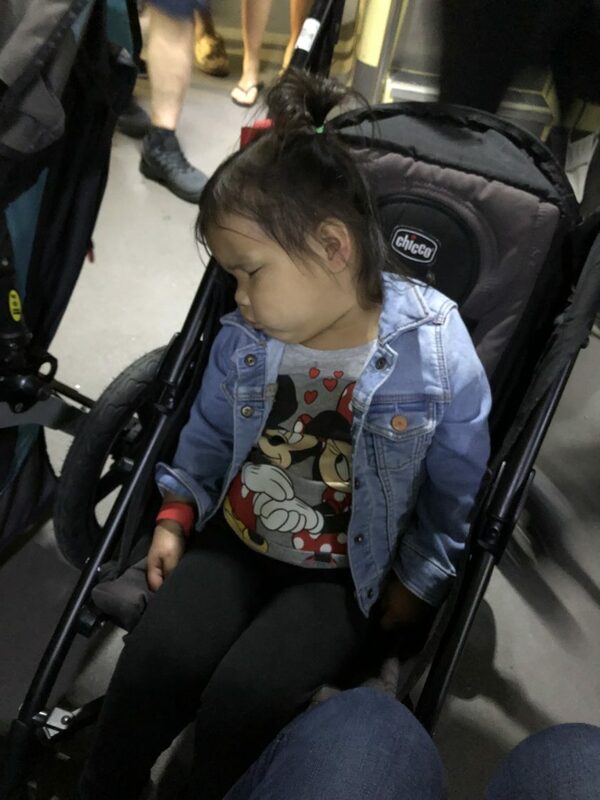 After the fireworks, Erika and I took Madeley, Britt and Ashby back to the room (it was like 9:00 or something) and the dads took the other five back to the park until 11:00 for more rides. 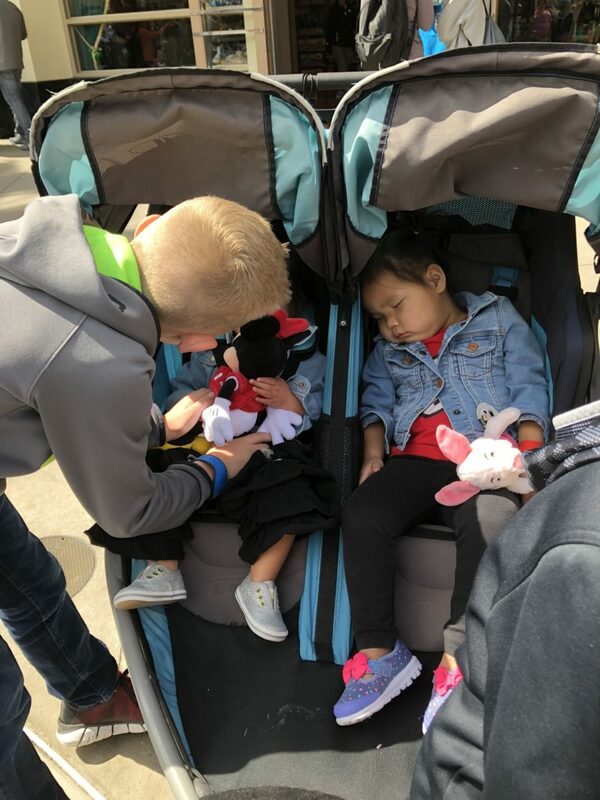 They were all so tired from a FUN day at Magic Kingdom! Friends, we are just getting started! I hope you had fun on our first two days!! To see pics from Erika’s first two days, read her blog HERE. Okay, a few more things, I clearly did not take pics of all the food/rides/shows we did…I mean, there were so many! Also, can I say something? From the bottom of my heart, please hear me…we plan WDW vacations for so many people and you know who has the most fun? The people that don’t stress about doing everything. (Some people are probably annoyed with me right now. ) 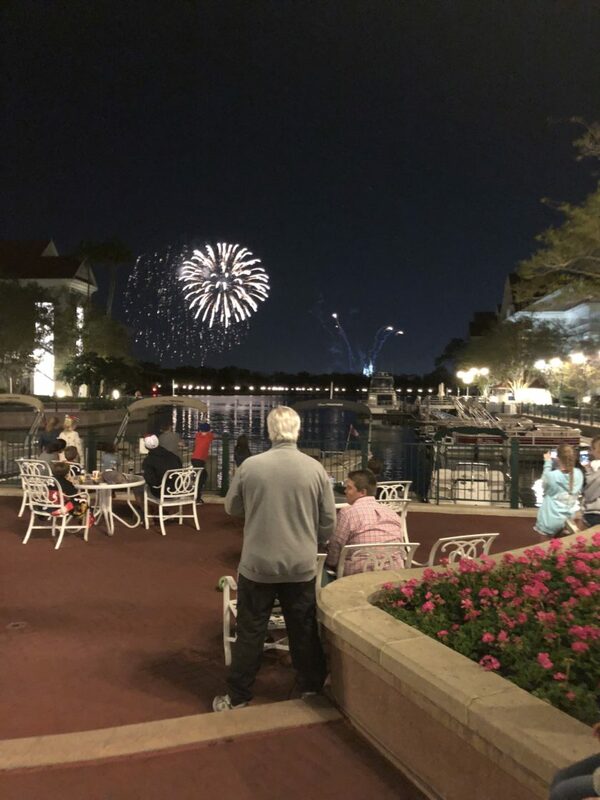 Listen, I promise you…YOU CANNOT DO EVERYTHING AT WALT DISNEY WORLD. I bet you could live there for a year and still miss something. We have found that the people who stress out about not missing a thing are usually the ones that come home a little more tired and slightly disappointed. Of course, there are certain things you might want to do, but sometimes, you miss the magic when you’re trying to plan the magic. Make sense? Just my little thought to all of you planning on going. Be in the moment, friends. I hear over and over again how my clients’ best memories are the unscheduled ones. Eeeeeekkkkkkk!!!!!!!!! The BEST trip EVER!!! We’re ready to go back STAT! My favorite part was the cruise. They’re so different that it’s probably not fair for me to judge them against each other, but I just love the cruise so much that it’s hard to top. How far in advance of the trip do you suggest contacting you to plan a Disney vacation? I always think the sweet spot is 7 to 8 months in advance. Of course, we can do it much closer to departure time, but that’s the best time in my opinion. It’s only Day 2, and the vacation is already EPIC!!! Can’t wait to follow along for the rest of the trip! Such fun!!! Disney is our favorite! We have an only child and we have cruised Disney every year since she was five. She graduates next year and will be auditioning to dance on the cruise line and at WDW – she wants to attend University of Central Florida. So we have totally brainwashed her;) There is no place like WDW! Glad you had a great time!! Shay, so glad you are back we missed you. 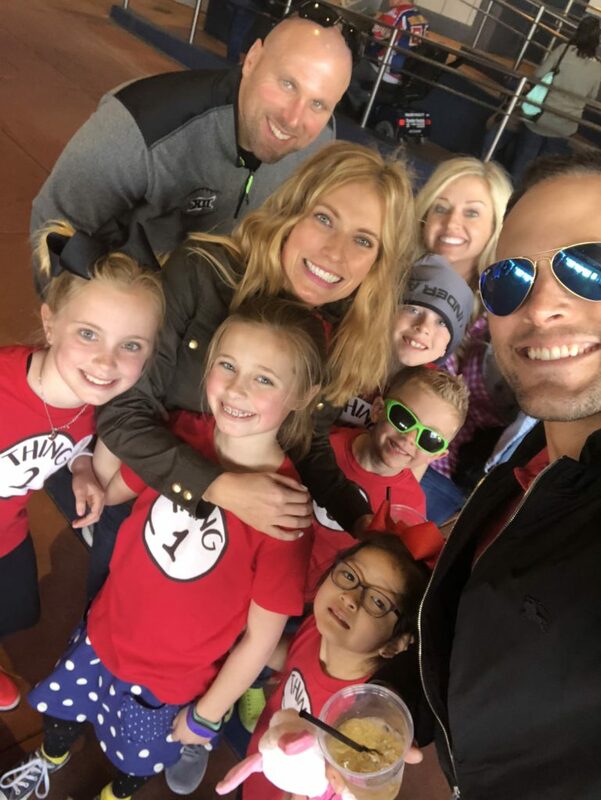 When I saw that you and the framily went to Disney/Crusie again I was so happy! I just couldn’t wait for your recaps to start! Keep them coming! So fun! We have our land/sea booked for May 2019! (We just had a baby so we had to wait!) Looking at these pictures makes me want to book a quick long weekend in the fall…. So fun! 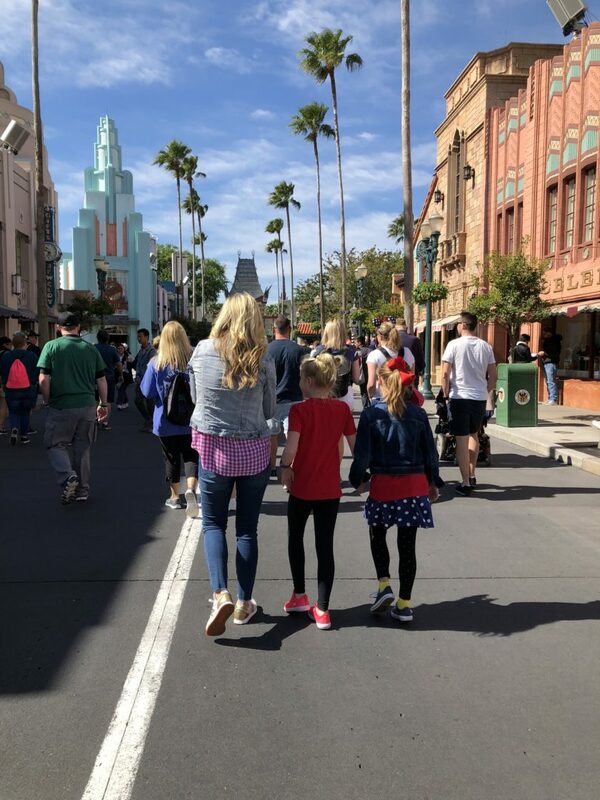 We love all things Disney, we took our kiddos for the first time in January. Just curious, what other resorts have you stayed at on property? I’ve stayed at so many! Off the top of my head, All Star Sports, All Star Movie, Grand Floridian, Yacht Club, Coronado Springs just to name a few 🙂 . Looks like a lot of fun! Madeley is looking so grown up lately, too, especially in the picture of you with your jacket and sunglasses on. And that picture of you guys all happy and lined up in the seats with the grumpy looking people in the background was too funny!! I was cracking up at the grumpy people too!! HOW CAN YOU BE GRUMPY AT A FROZEN SING ALONG AT WDW?!? What FUN!!! I love all these pictures, and that hotel looks amazing! What a great trip! I have to ask, how and when did you start your travel agency? Did you work for an agency or are you self taught? I was certified and licensed through a host agency several years ago 🙂 . That’s where I got (and continue to get) my training. Hi Shay! Love the littles’ shoes. Can you link to them please? I love seeing all your posts about your vacations but they always make me a tad jealous that I’m not the one traveling! 🙂 Thank you for sharing!! Kind of random question – we’ve been shopping for double strollers (we have 6 month old twin boys!) and it’s so hard! What one do you all have in these pictures? Is it nice for traveling? We rented that right there in Walt Disney World!! I love that you go so often!!!! That’s amazing, Susan!! Wow! That totally is a trip of a life time. The kiddos looked so incredibly happy! So cute. Was this a fortune though? Do you guys offer long term payment plans? Disney does! You can absolutely make installment payments. We have some clients that pay a little each week. I loved this post! 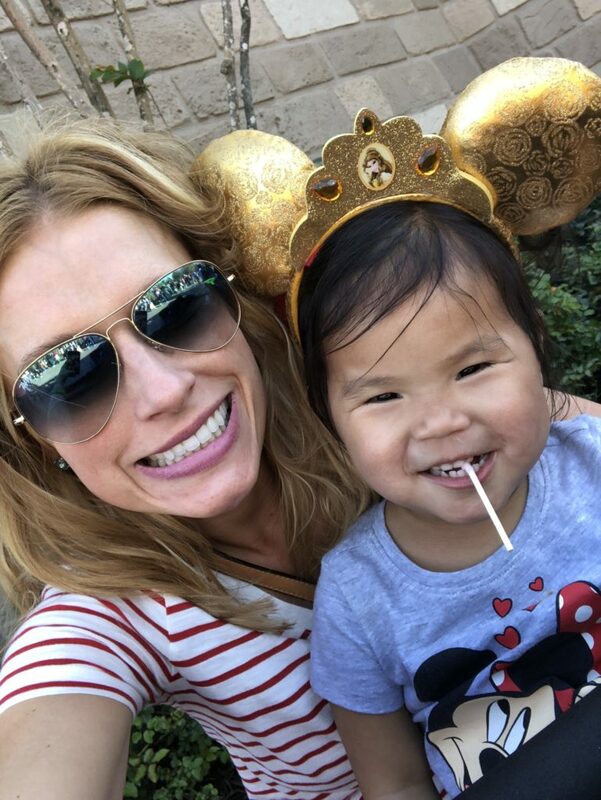 My family goes to Disney every year or every other year, so I always love reading about others’ experiences! 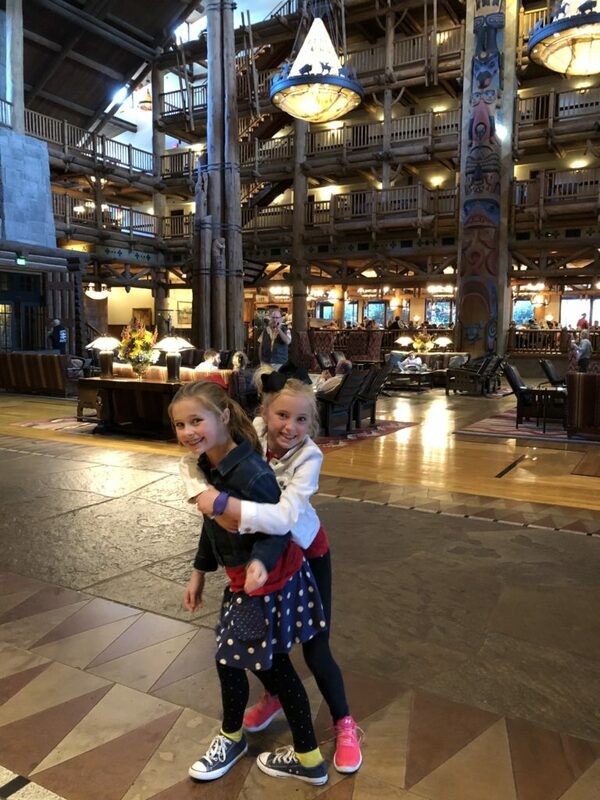 Wilderness Lodge is beautiful, 50’s Prime Time Cafe is delish, and Liberty Tree Tavern is our absolute fave WDW restaurant! I can’t wait to see the next posts. We love WDW so much! You guys always go on the best vacations! 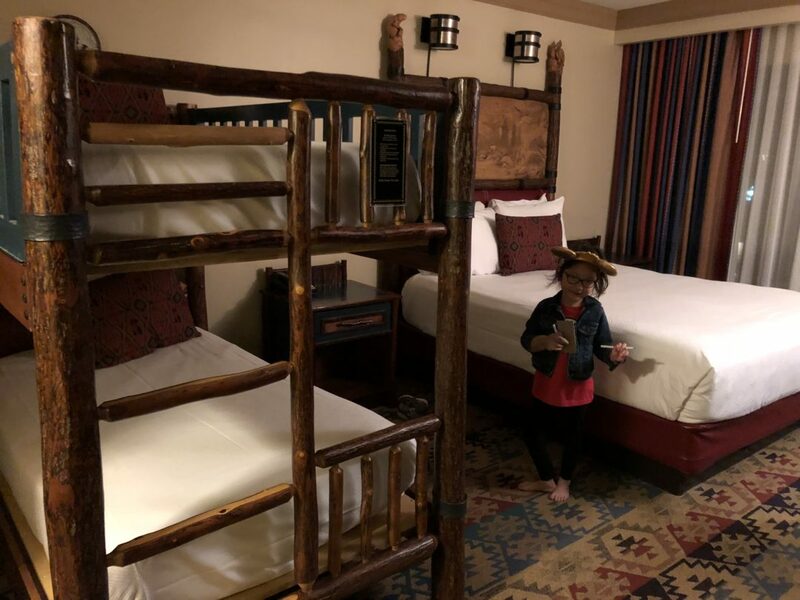 That lodge that you stayed at looks amazing — I would have flipped out if we got to sleep in bunk beds on vacation as a kid! You’re making me want to go to WDW!!! Love this trip! It was our quick service meal for the day, so no reservations. It was Gasparilla Island Grill 🙂 . 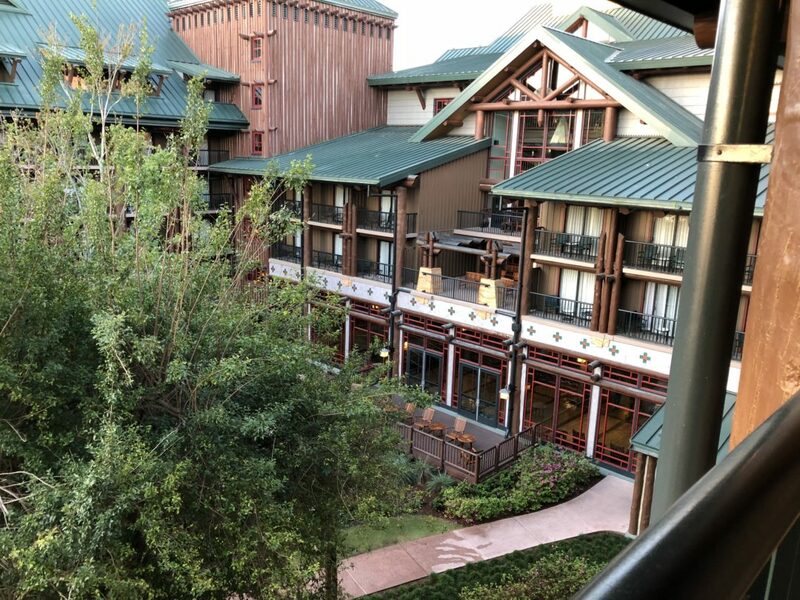 Wilderness Lodge is not a DVC property – anyone can stay there at the hotel. But they do have cabins or something that are DVC. I think anyone can stay at Wilderness Lodge, it I think it’s also a Vacation Club Resort too! We stayed at The Beach Club and it was also a Vacations club reseort too. The vacation club members just stayed in a different part of the resort! Could you please let us know which rides you had Fast passes for and how you decided what to fast pass? Unless you plan to talk about that later. Thanks! It was hard to get Fast Passes for 12, so we probably didn’t get the best pickin’s. I will try and write all of those down in another post though! Looks like a fun trip! 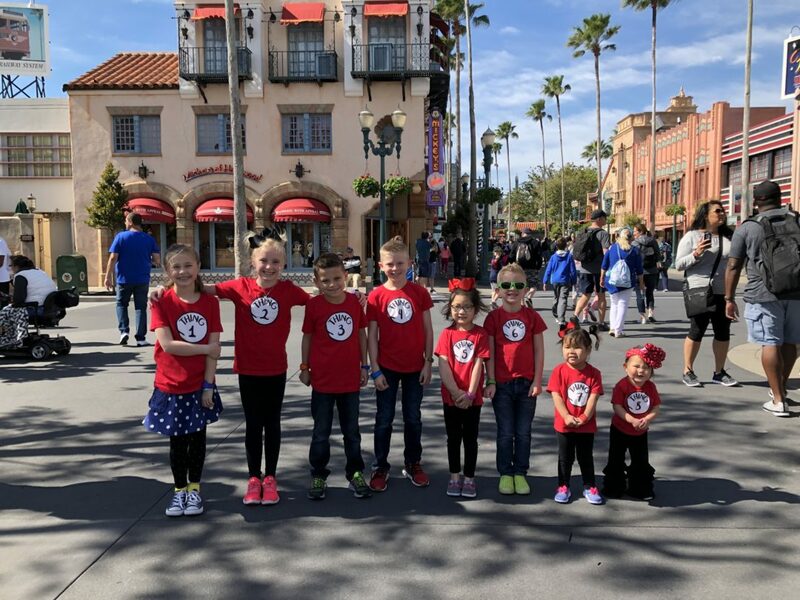 Do you have an opinion on the best age for kiddos to enjoy disney world?! I don’t know??? Madeley loved it and she’s three, but Kensington did too and she’s nine. I really thought one might love it more than the other, but they all equally found it fun! The trip looks great!! We were there at Christmas time and as always Disney was magical. 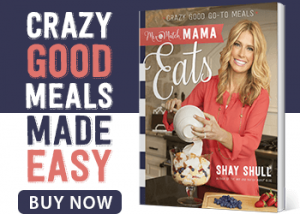 I’m curious about your thoughts on the meal plan. Do you recommend purchasing it? I’ve done it with and without. It seems liked it’s more expensive to get the meal plan (unless you’re a huge eater) but it is nice to just have the ease of scanning your arm band. What we did this past time was just keep loading up a gift card so it was easy to scan and we didn’t have to worry about change etc… You’re more of an expert so I thought I’d ask your opinion. We’ve done it both ways and feel like we saved a ton having it this time. We ended up getting an extra sit down meal on the last day, so we had to pay out of pocket and geez, it was pricey. As a former Disney planner, I completely agree with you! Disney is best if you plan but then just “go with it” once you get there. Love that you saw the fireworks from GF. We stayed at the Polynesian and they also have an amazing place to watch the fireworks at night-from the beach! We even saw a proposal. It looks like you had low crowds, fantastic! I can’t wait to see your Epcot days. Maybe my favorite thing to do is see all the countries! I hope you got to go on 7 Dwarves at some point :). Can’t wait to see the rest of your pics. Since my kids are potty trained and older, I just brought my sunglasses, a small can of sunscreen, and phone. Thanks to the Magic Band, I didn’t even bring money or my ID. Looks like such an amazing trip!! Was it hard to plan the food for 12? Or is that all part of a Disney package? We made reservations in advance, so it was easy! Did you all use the ride swap option? It know spring break is a crazy time, were you able to pull additional fast passes? We did use it some. I will say that it wasn’t as crazy as we thought, but it was definitely crowded! I have been so excited to read this! 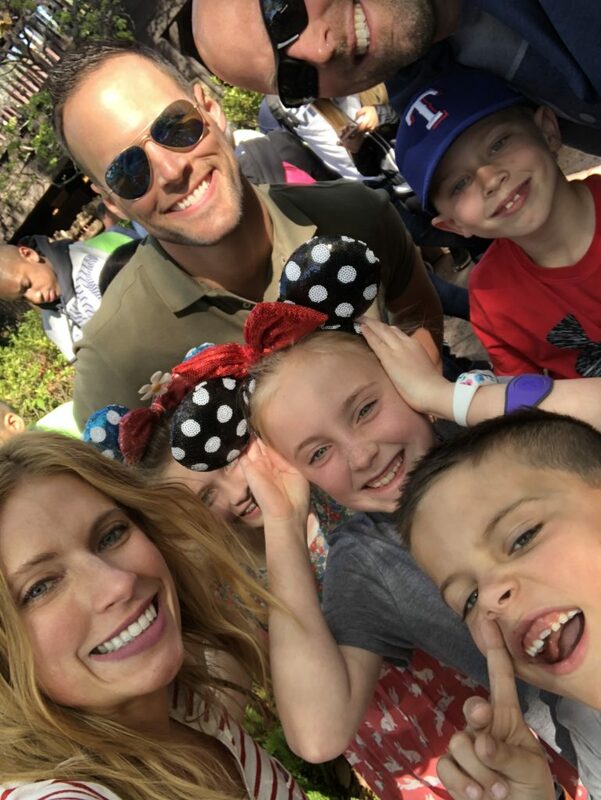 Loved the pics of your precious family at WDW. My kids are 22, 24, and almost 26, and we are taking them and the 26-year-old’s fiancee on a quick Disney trip in May. They are all super excited! We stayed at WL twice when they were younger, and it is amazing! We also really liked staying at the Beach Club Villas when they were older and getting a 2-bedroom villa. I know some people think Disney is just for kids, but the Disney magic brings out the kid in almost everyone. And I know we can’t do it all, but to me it is so fun planning what we will do. Thanks for a great post! One of the reasons that I enjoy reading your blog is because you are not being sponsored. I find you can see write through those blog posts. I enjoy your product reviews because you’re just passing on your knowledge. I have purchased Jesus Calling and the gratitude journal because of your honest blog posts. Thank you! I hope you love Jesus Calling as much as I do!!! I’m so happy you have it! I was so excited when I saw you guys were 5 min away from me. I was so tempted to go to one of the parks so I could meet you. You are right there is no way you can do everything at Disney in one trip. My family and I go all the time and there are still shows and restaurants we’ve not seen or eaten at. I’m glad you and the Slaughter family had fun. Wilderness Lodge does not allow five guest unless you are in a Deluxe room. 😊 The majority of the rooms at WL only fit four. You don’t have to post this. I just don’t want anyone jumping on your for misinformation. 🙂 Fellow Disney planner here. I don’t mind posting! We were in bunk rooms (as stated) and five guests are allowed in those rooms. We lived in Florida for a year and had yearly passes for our family to WDW and STILL didn’t do everything. That’s the #1 thing I tell people. You can’t do it all so enjoy what you’re doing. 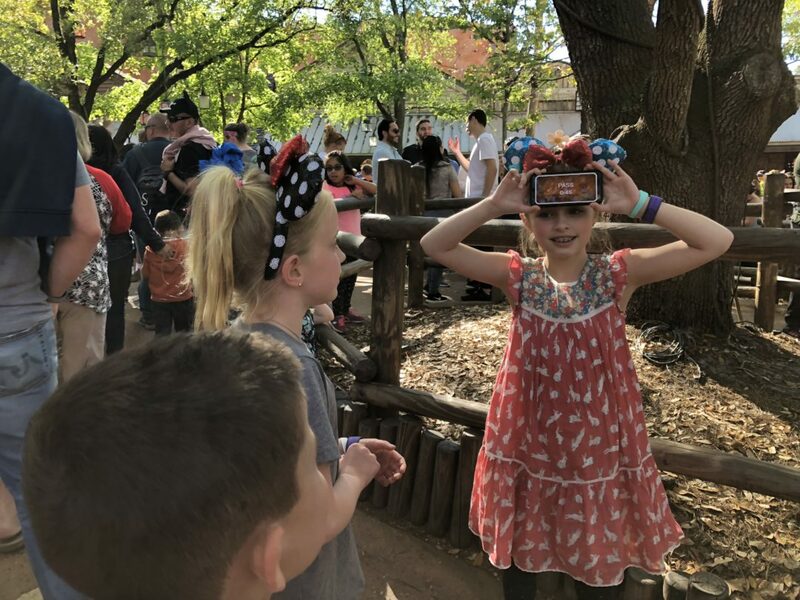 Also did you known about the rider swap option when you have littles that are too short you can get fast passes to ride again without waiting in line! Such a great option for us as my son got to ride the ride twice, each time with one of us. We did get rider swaps some, but for the most part, we didn’t mind taking a break from all the crazies and spending time with the littles. Ha! Oh my gosh, the FUN is palpable thru this post!!! I can’t wait to take my boys! 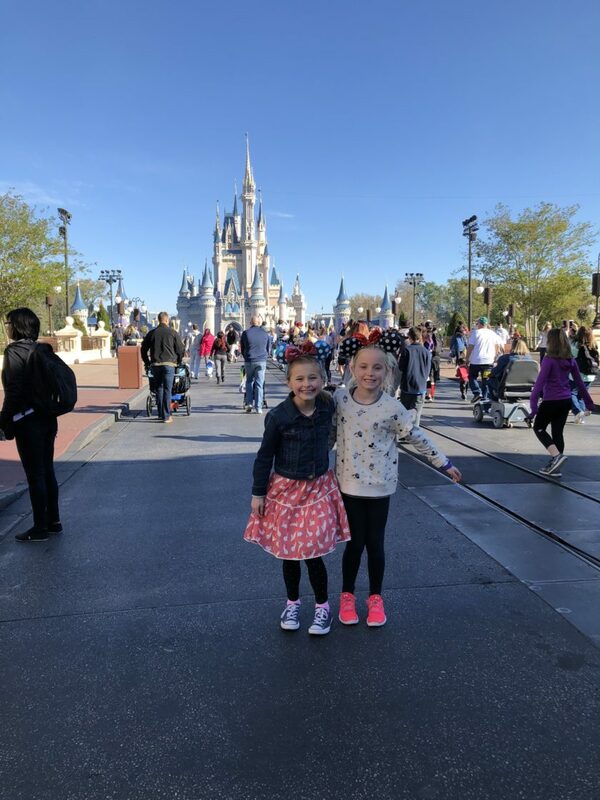 We are heading to WDW in May and have been already a couple of times with our girls before, but was wondering if you utilize the fast passes? I’m sure you do and that could be an entire post on its own because that can get complicated, but might be worth mentioning. We’ve found so many people don’t sign up 30/60 days in advance for their fast passes and this could really save so much time. Also, utilizing the Magic Hours as well! Th looks like such a fun trip! My girls are itching to go on a Disney Cruise next so that’s in the works for next winter!! 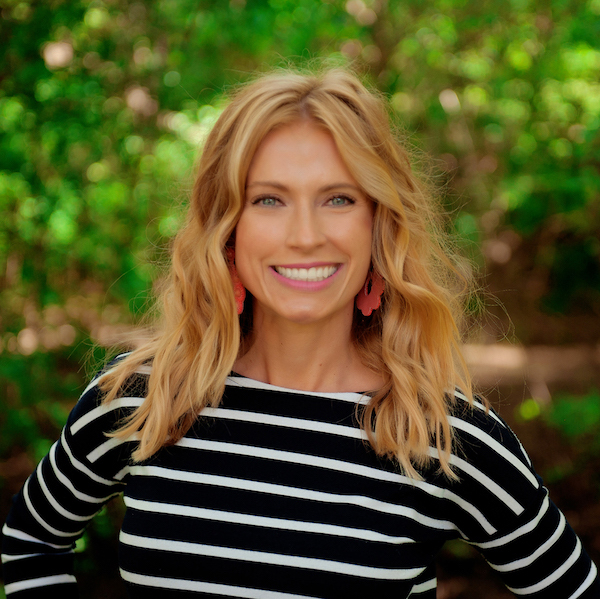 Can I ask… did your kiddos (maybe Smith’s opinion, since I have 4 boys (twins who are almost 6, a 7 year old, and an almost 9 year old) enjoy HS or MK more? We are going for one day in just two weeks and I cannot decide for the LIFE of me between MK, AK, or HS! I don’t know how I will EVER decide! I would have to ask him (and he’s at school now), but I’m going to bet he would say MK. He loved Thunder Mountain and Splash Mountain. He rode them each 3 times in one day (they rode a lot more at night when the lines were down). Do MK and AK for sure. HS is great, but half the park is closed right now for renovations; it’s a half-day park at most right now. Once Star Wars Land opens in 2019, it’ll be the place to be … but right now if you’re on a tight schedule, you’ve gotta skip it for MK and AK. OK the next best thing besides the Disney Land and Sea trip is what we have been doing since the 90’s is start with Disney World for a few days followed by Disney Vero Beach Resort in Vero Beach, FL for the final few days. Stay right on the beach/ocean with all the great Disney perks and a short 1 hr 20 min drive from Orlando. For the general public at Vero you have the Lodge rooms or if available the Disney Vacation Club choices from studio room to 3 bedroom home to rent(if available). Been doing this since it opened and LOVE this place. A great beach rest but still lots of kid/parents fun after exhausting Disney trip. 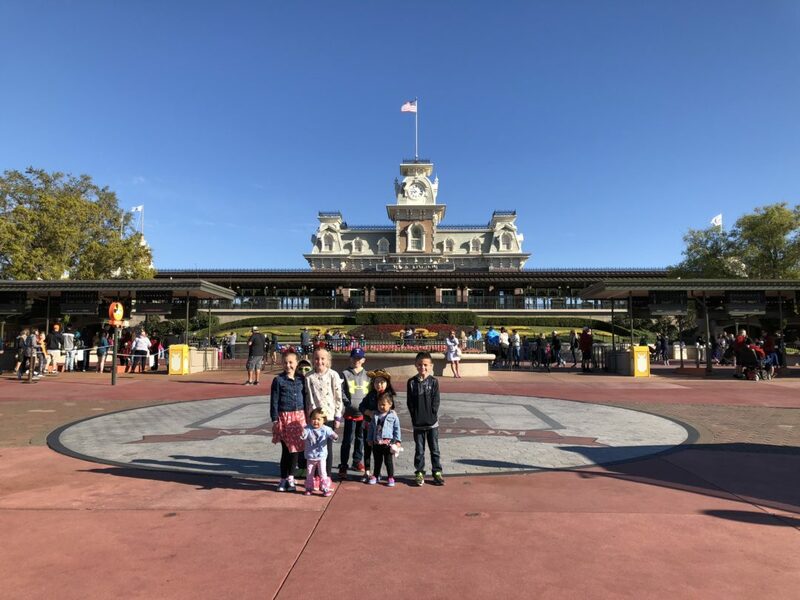 Being a Disney Vacation Club owner was the best money we ever spent. We have used it for trips(besides Disney) all over the country(Christmas we go to RIver Run to ski in Keystone, CO, etc.) and world and the best part is if it is Disney affiliated it is always up to there standards. Looks like a great trip so far!!! Questions–how do you afford so many trips with such a large family? 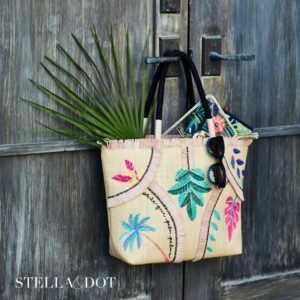 Do you have money saving/financial tips for vacations? That would be a good post. I think that’s a very honest question, Maurie! I started saving for traveling on my own when I was a freshman in college and have continued to (I paid for my first European trip with a girlfriend when I was only 19). Andrew and I put away money monthly for “travel”. This helps us keep our budget in line throughout the year for our trips. Not to jump on the post here but I was a stay at home mom for 2 years and my husband is an occupational therapist so we definitely have to budget every penny, I now work in our school system so vacations are a big luxury for us. I love Disney and if time of year isn’t an issue, try and go when they offer their specials. 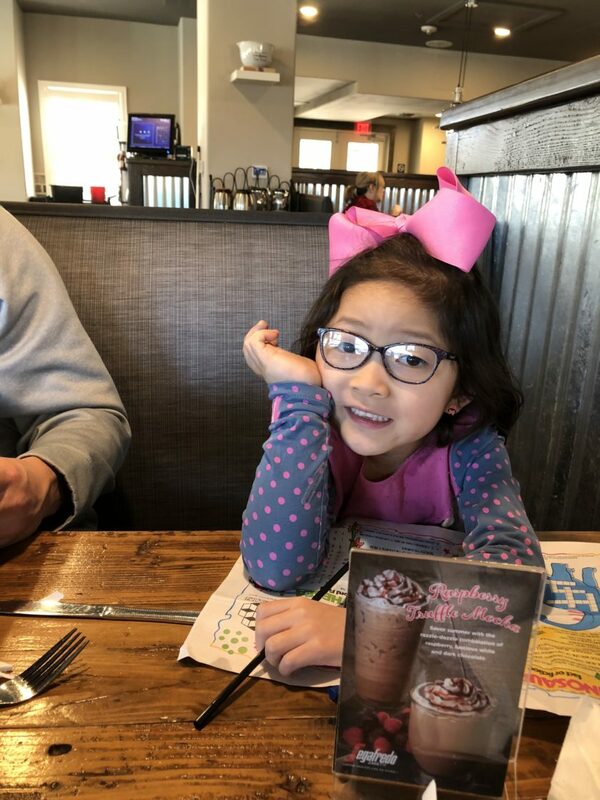 We got the quick service dining plan for free in the fall and upgraded to the regular plan and because we were there for a week and a half we saved over $1500. I think Shay mentioned in her part 2 post that you get 2 snacks per person per day, it was such a relief when we all got hot and cranky to take a break and get lemonade slushies and not have to worry about paying $5/each. Also, about three years ago we got the Disney Visa, a year ago I upgraded to the Premier Visa, it does come with a a $49 annual fee but you get 2% back on gas, groceries, and restaurants. Over the past 3 years we have earned $1000 back in Disney Rewards, I usually cash it in about a month before we leave and take it as gift card. Since you can charge just about anything to your room, including tips, I do that and every couple days I go down and pay it off with my gift card. It’s helped because once the trip is paid off, I don’t have to worry about spending money too. I’m guessing this may be too personal, which I totally understand, but I’d be soooooo interested to see a break down on how much everything costs. As someone who has very little travel experience, I have no idea! I always wonder whenever I’m reading your vacation recaps (which are some of my favorite posts). 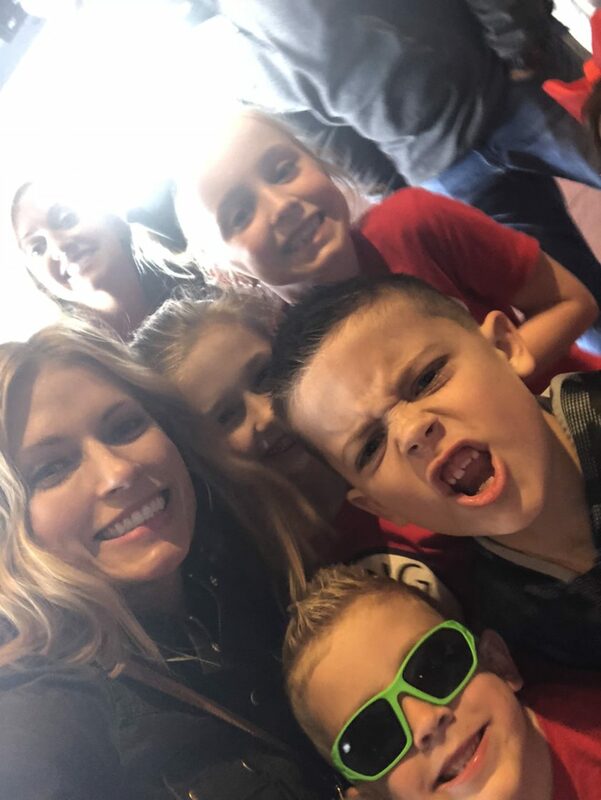 This is definitely a dream to take my kiddos to Disney! Thanks for sharing! Can’t wait to see more!! FYI, Angela, you are one of my favorite readers 😉 . I love getting your comments every day and just thought I’d share. The good thing about Disney is that there are so many different pricing options. We can send two different families for two totally different prices. We typically ask what your budget is upfront and work to make the trip happen within that. I’ve been wanting to start planning a trip, but discouraged by what I think it might cost. What would you say is the low end of what a military family of four can expect to pay for 4 nights? Would you be able to offer that information? Email me, Jessica! I have a few other follow up questions for you and will get you a good estimate 🙂 . Eeeeek!!! I am so excited for this week of posts!! Have you been to Disneyland?? I want to do a Disney Cruise so badly but having 5 kiddos I can’t seem to find a way to get my family on for a decent price!!! I have never done Disneyland!! 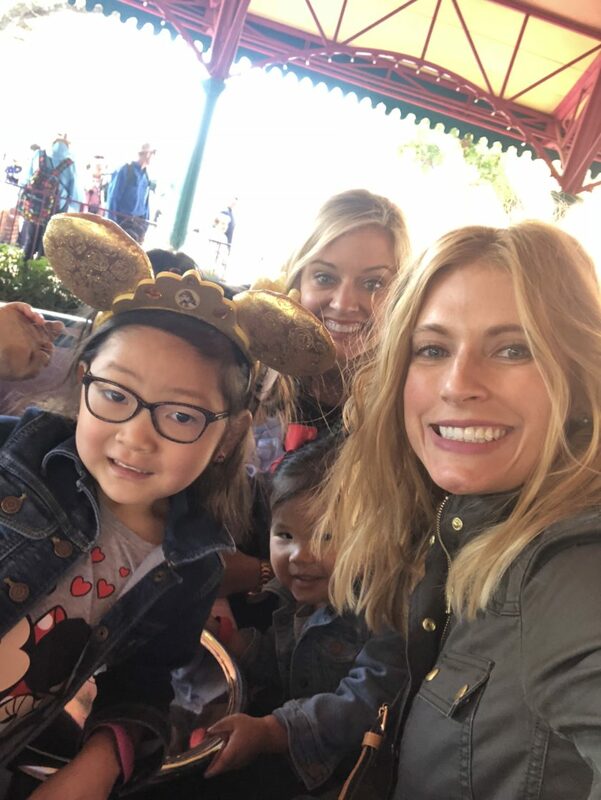 IMO Disneyland is great with little ones! Everything is within walking distance. DL and California Adventure have approximately the same number of rides as Magic Kingdom, Epcot, and Hollywood Studios put together. Plus, the weather is almost always fabulous! Hi Shay! My husband and I are huge WDW fans and are excited to start taking our kiddos (we have a 3 yr old son and twin 4 month old girls). We’re taking our big boy by himself in October (he’ll be almost 4) and staying at the Animal Kingdom Lodge. Any suggestions on park itineraries, must-do restaurants, etc. for his age? Oh gosh! So many ideas!!! You should email us! I can send you a list! We want to plan a trip here in the near future. We have 3 girls, ages 6, 4, and 2. At what age can our 2 yr old go on most of the rides at Magic Kingdom?- Peter Pan, Snow White, etc. I hate to take her and not get to take her on any rides. Thanks!! It’s not based on age, but height. Ashby was tall enough to go on almost everything and she’s almost six (but not super tall). Love the Wilderness Lodge! They used to have the best Winnie the pooh/Pocahantus breakfast there! Live the Grands Floridian too! So gorgeous! Polynesian is great as well! Staying on Disney property is the way to go! 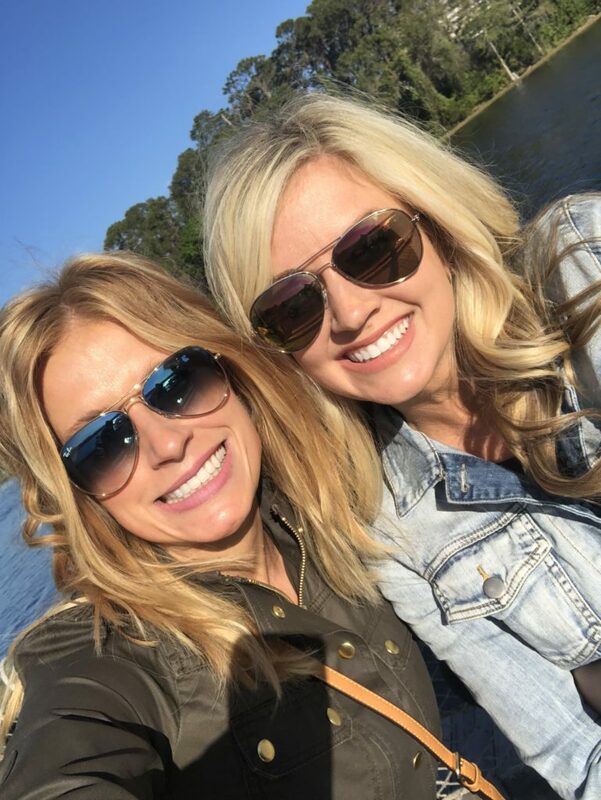 Enjoyed your recap of the trip…looking forward to reading about the rest! 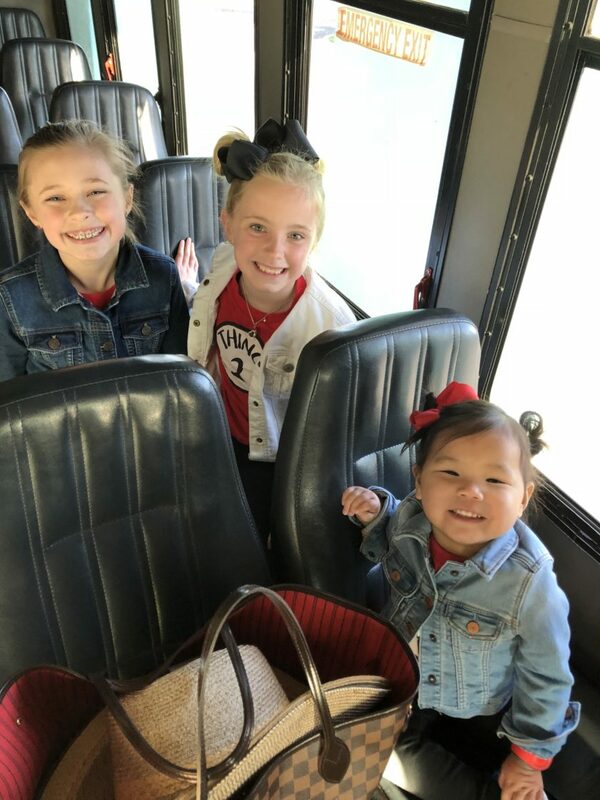 I love a Disney trip recap! Did you use the Memory Maker option for this trip? We used it for our last one and I was thrilled with how many great moments were captured that I wouldn’t have otherwise been able to catch on my own since that trip was with a bigger group and we weren’t all together all the time. It’s a great option for a large family or extended family or group trip. Totally agree with your last comment. 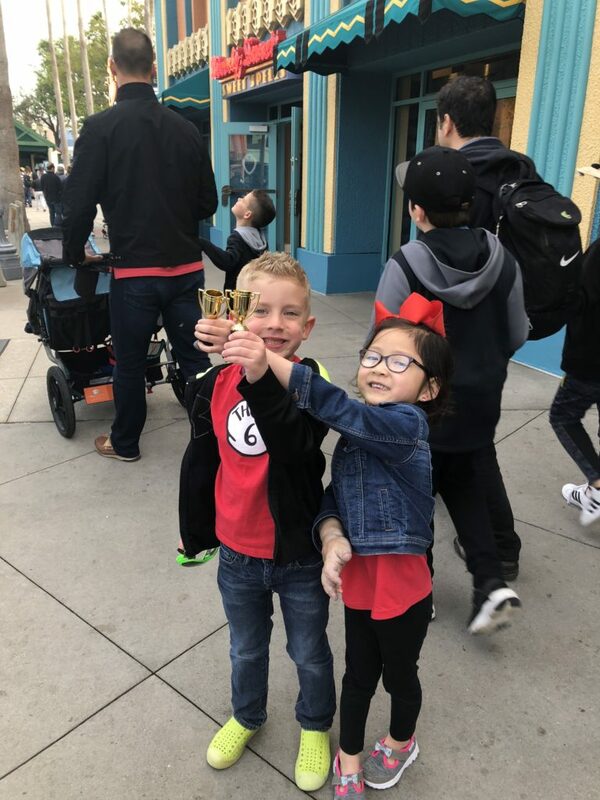 We took our son to Disney when he was 6 and it was a first time for all of us. We did say before we went that we would do what we could and not worry about what we couldn’t because we would probably go back again one day. We built in quiet time at our resort over the week we were there. Yes, we missed things that we really wanted to do (weather can do that) but we enjoyed what we could. When we go home from our vacation we asked our 6 year old what his favourite part of the vacation was and his response – swimming in the pool. Yup, most expensive vacation for swimming in a pool ever! I learned a lot from that. I love the 50s Primetime Diner. Our waiter was crazy cousin Eric and kept us lauhing all through dinner. We cruised first and then went to Disney World. I would definitely change the order next time and do parks first and then cruise. More opportunity to rest on cruise. 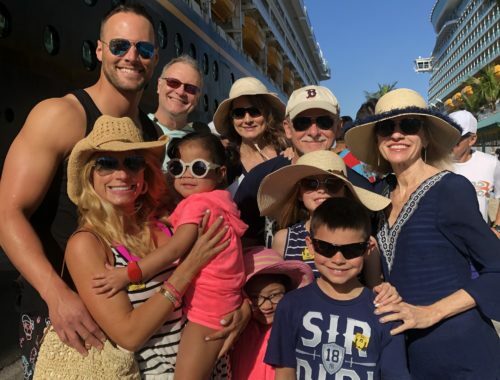 I’ve never been on Disney Cruise, so just wondering if its something to go on with the family and kids or do you feel like anyone can go on the cruise and still have fun? Ha! Andrew and I joke because we’re going to keep going on them when the kids are grown and gone. There are a ton of families on board, but there are many older groups without kids too. This looks like so much fun. Your kids are all adorable and look like they were enjoying. Kensington and Ebby Lee look to be at the best age. Also, where can i get Kensington’s dress? I live in Central FL and have been a WDW passholder for over 20 years. We go at least once a month and I still haven’t done everything! You’re right…you’ll kill yourself trying. Just soak in the magic and enjoy what you can! Love this!! We had a land and sea trip planned for September last year and it was all cancelled due to Hurricane Irma 😭. So we split it up into a few days at the park in November and then we are cruising this Christmas! Totally jealous of wilderness lodge that is my fave resort! It is absolutely magic at Christmas! 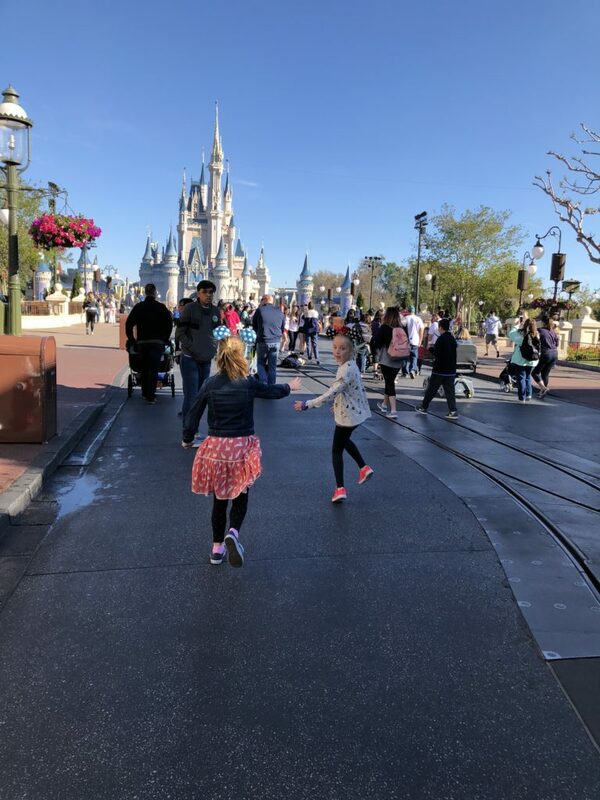 And love your tip about not stressing, this was our first vacation with our kids (2&4) and the times we just went with the flow and relaxed we’re so much better than running around trying to meet every princess and catch every ride. Best vacation ever! We did this 2 years ago and I could not agree more. Take in all the magic and DO NOT STRESS. WDW Cruise Line was my first and only cruise so I have nothing to compare but it was simply amazing. Ah! I come from a Disney loving family and when I saw that y’all were all there I got SO EXCITED! 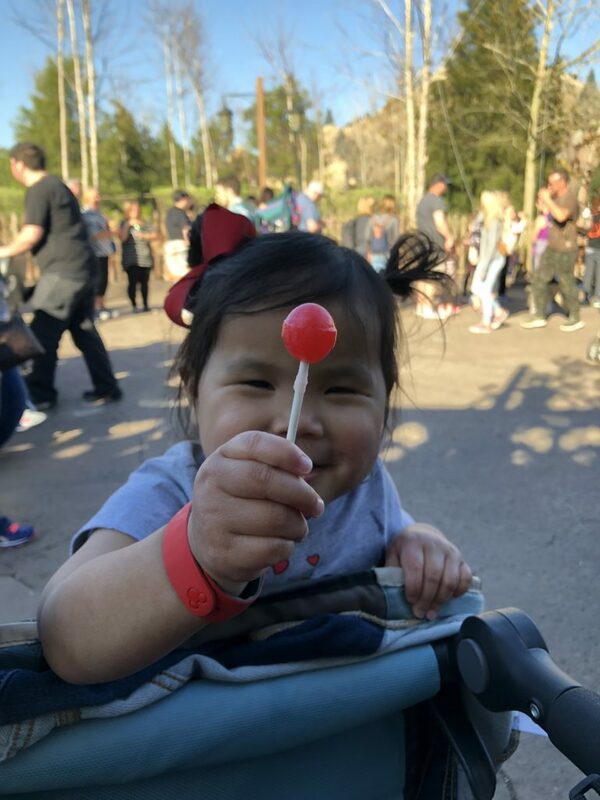 Kensington’s face in front of the castle is me every time I walk into the park! I have two trips planned this year that I am counting down towards. And Liberty Tree is so good! I am really looking forward to the food when we go. Also, that little Madeley is too precious! I loved seeing all of your pics and am so glad everyone had fun! You were spot on with your closing advice…my dad was an Imagineer for almost 20 years and we have seen what you said time and again. People who overplan often leave with exhausted and disappointed kids. I always tell friends who are visiting to make a list of a few “must see/do/ride/eat” stops at each park and do those. Everything on top of that will be gravy and if/when the crowds are crazy or the weather is bad you know you’ve at least seen your must-dos. We love Fort Wilderness! We have stayed there twice and I just don’t know if we can stay elsewhere. You are soooooo right about not planning every minute of every Disney day. We learned on our first trip with kids, you have to go with the flow. Yes, get fast passes and dinner reservations but going with the understanding doing it all isn’t possible will save you loads of stress. 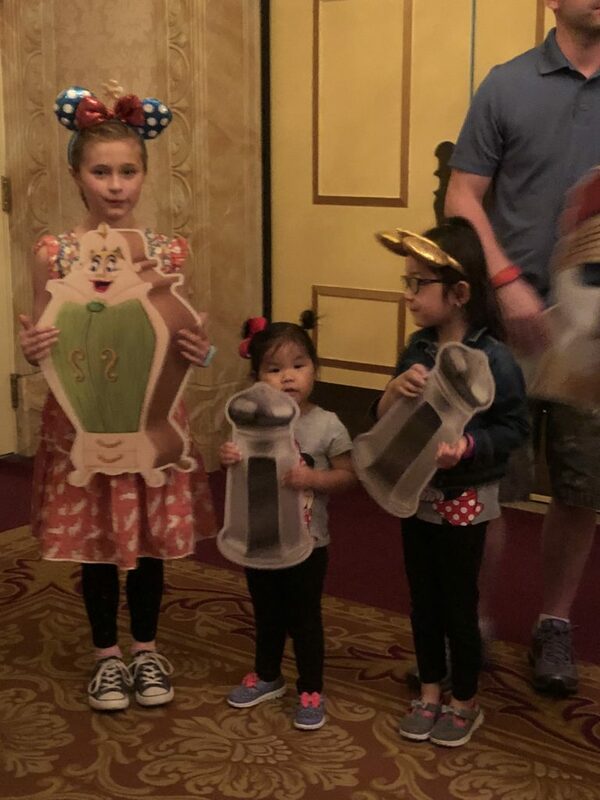 We also learned standing in lines for character pictures is a waste of time, it’s so much easier to get those pictures at character restaurants. I am going to remember that you can see the fireworks complete with music at the Grand Floridian, what an awesome ideas! I can’t wait to read all of the recaps, such a fun trip. What a fun trip! I was so happy to learn you all were in Orlando 🙂 it’s my hometown! I love reading your recap posts!! Ahhh, you guys we missed you by 3 days. We stayed on floor seven with cons. service and great little spot for snacks morning, noon and night. Also had free beer and wines free flowing through the day at that spot so you could get continent. 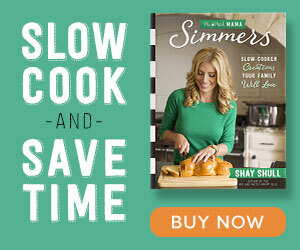 breakfast, snacks in afternoon and at night soup, pasta for kids and things like shep. pie one night and then as well as free beer and wines great selections of beer. What floor did you stay on? So many other things in snack spot but we only really paid for 1 meal each day and had had fruits breads chips dips veggies on floor seven. We have stayed at the Lodge 4 times and we have only stayed at Lodges. The last time we stayed at the Lodge we were with our Sam who loved Disney and asked to return before he passed away of RMS Cancer. The Lodge upgraded us to the Presidential suite which you have pic of across the way from your room. When I saw your pic it gave me those memories back kinda bitter sweet. Pool areas are way awesome wish it had been warm when you were there because the new area with cabana’s was awesome as we were there just being a couple. Did you guys get photo pass we have gotten it every time so worth it as you get pic’s throughout vaca and no worries of trying to gather and pose your littles and bigs the photo people just make it happen. For your next Disney visit. Well worth the dollars. When we were at Disney it was 85-89 each day. It was very hot but there was a breeze. We thought we would get the cool like you as that would have been great as well as we are from New Hampshire and anything over 60 is awesome!!! We new englanders are hardy and would have still been in shorts. Think it is the blood thing. Can say going with out children is different however you still get your Disney Spirit On. We finally found the Fairy Godmother!!!! Would love to share more about 7th floor with you if you would like. So Happy to see the Bigs and Littles so excited and happy!!! 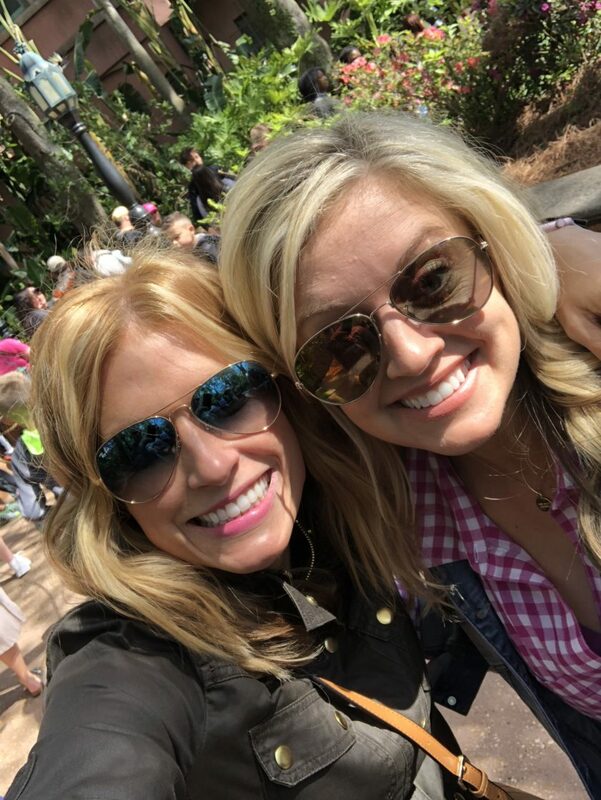 It looks like y’all had a blast together! 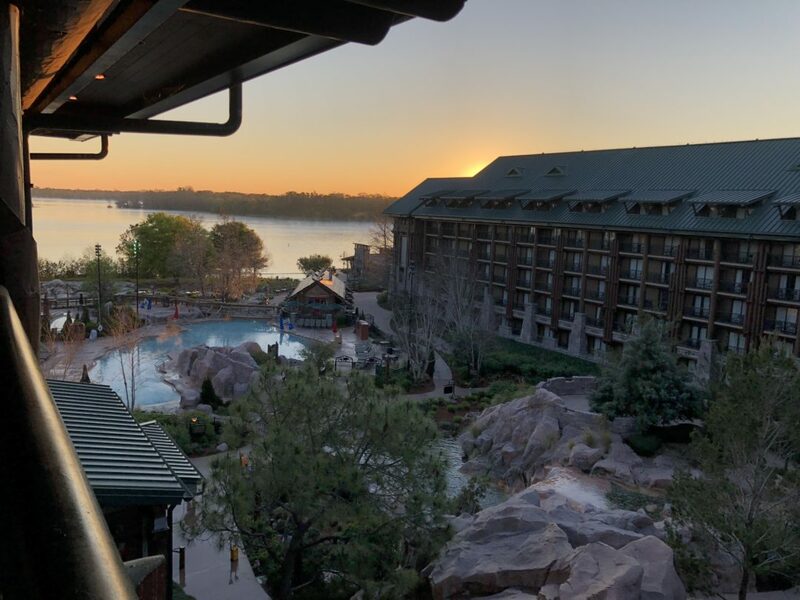 We’re staying at the Wilderness Lodge in June for the first time – any advice or tips/tricks for the lodge in particular? We loved it! Since you’re going in the summer, I would build in plenty of time to enjoy the amazing pools!! Because of the weather, we couldn’t do that, but it looked like so much fun! 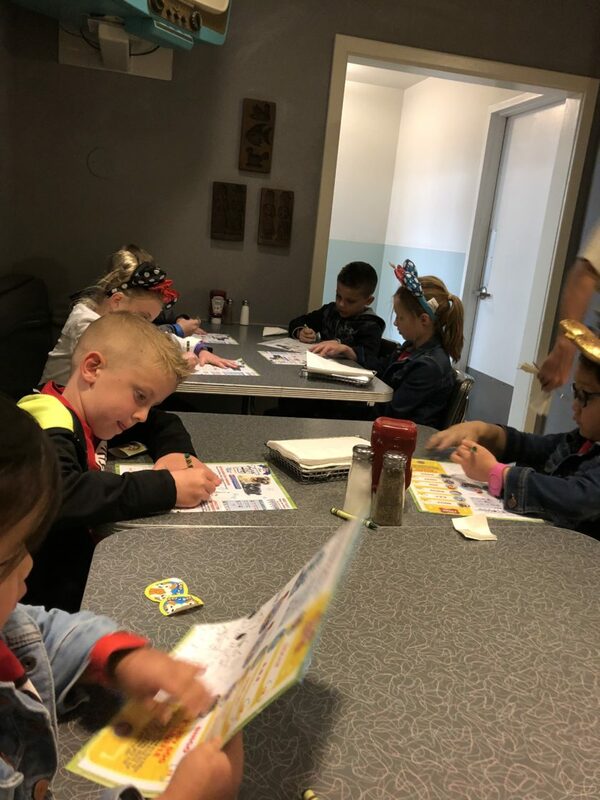 We also used a quick service meal and lots of “snacks” to eat breakfast every day in the hotel. That was so convenient! What did the boys think of The Magic Kingdom? 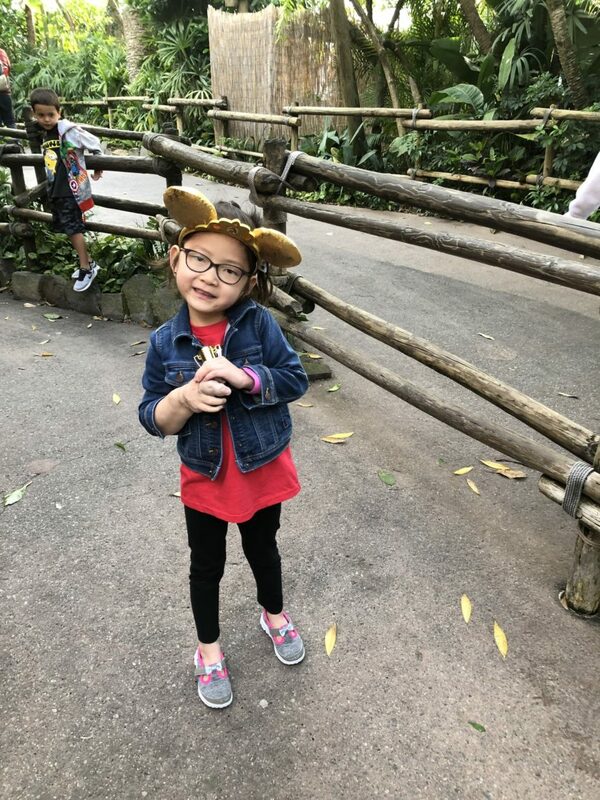 We are trying to hold off on Disney for another year or two so out youngest daughter will be able to participate more. 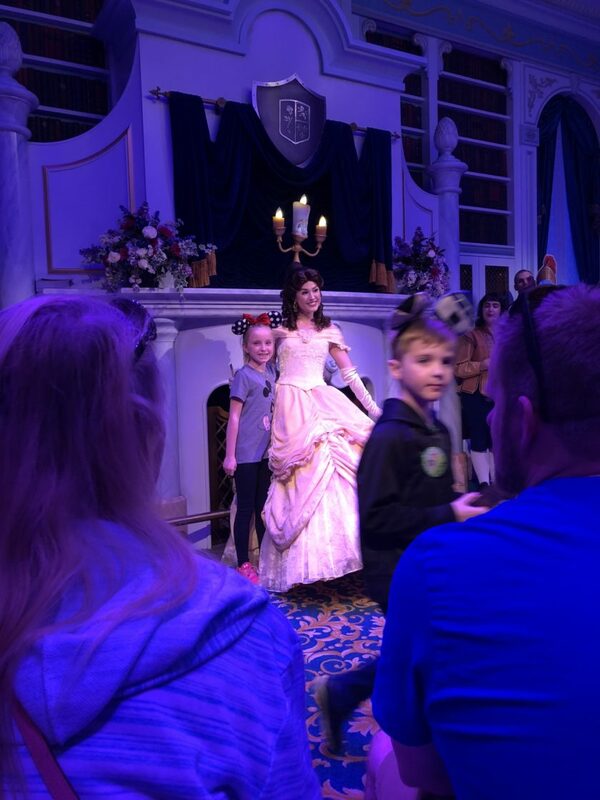 In your opinion, would a 7 or 8 year old boy enjoy the magic kingdom? Is a 10 year old girl getting to old for that part of Disney? Smith loved the rides. He wasn’t into the characters (Kensington who is 9 still was, but Smith was over that stuff). He loved the rides though! So much fun!! 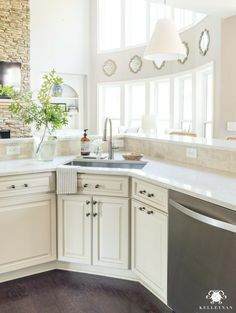 I’d love to know your thoughts on a “sweet spot” age for Land and Sea. TIA! My two bigs were probably right there (8 & 9). They could ride every ride and every slide but were still having fun with all the characters and stuff. I love this post. I love the happiness of all the Littles & Bigs alike. However, your travel post always make me slightly sad and jealous. We have a 10 year old disabled daughter. Angelman Syndrome. Non-verbal, mostly non mobil other than transferring, seizures & HUGE sensory over load, among other things. Our family misses so much & help is limited. Your opportunities are a blessing. Not just financially, but physically. I dream of traveling like your family. Have you ever been to Aulani? It reminds me a lot of The Wilderness Lodge, so beautiful! Plus, you get the magic of Disney mixed with the fun of Hawaii. One of my favorite vacations ever! It’s on my bucket list!! 50’s Prime Time is my absolute favorite!! Still so bummed that we just barely missed y’all, but looks like y’all had a blast! I SO agree with your last paragraph! One of my sweet blog readers is a Disney travel agent, so she offered to plan our entire Disney trip in four weeks last year. You are so right – the unscheduled moments were so sweet and some of our favorite. 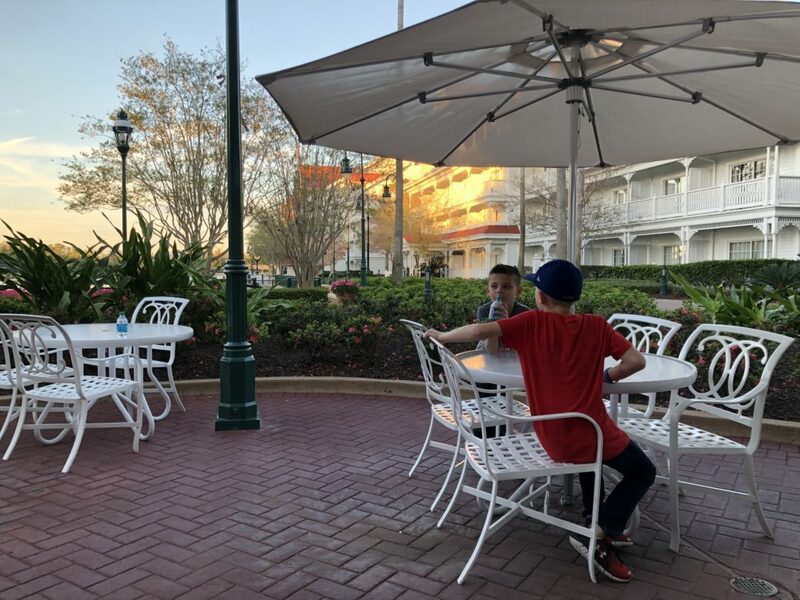 I remember lounging at the playground at Epcot last year since we were so pooped before dinner, and that ended up being so much fun. Our girls played so hard, and we got to sit, eat ice cream, and take it all in. It was wonderful. Thanks for sharing all of this! We are hoping to do a Disney cruise next year and can’t wait! Is your J. Crew jacket brown like the one you linked or is it black? It’s the moss color (kind of brown, kind of green). Glad to see you all enjoyed your vacay with the mouse! What fun! 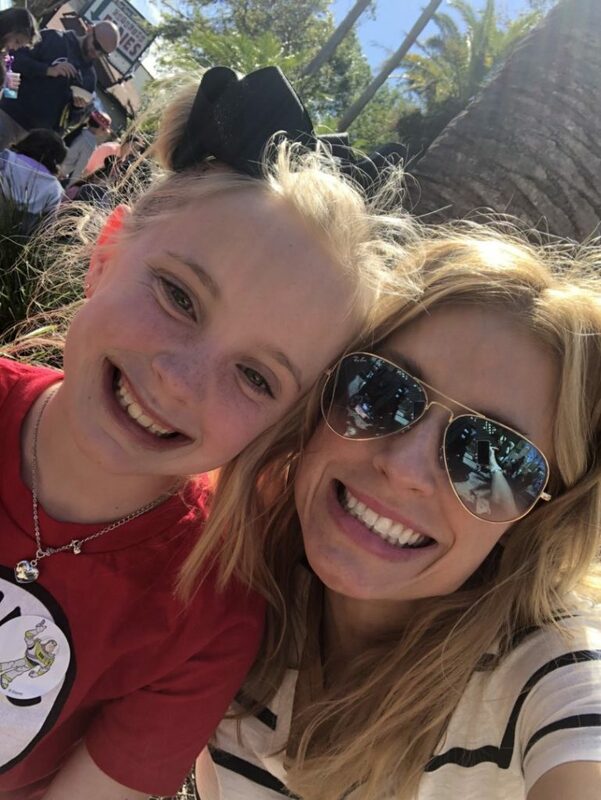 I love Disney and am looking forward to going back in 2019! 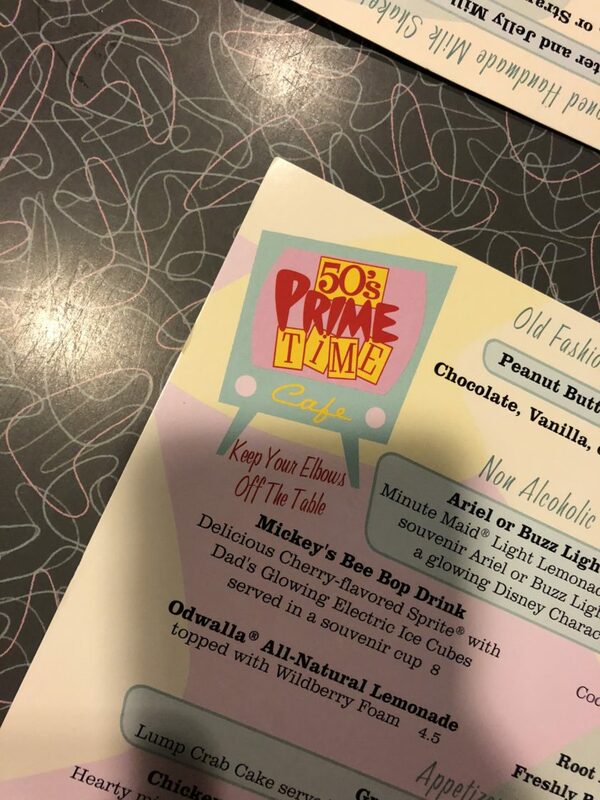 50’s Prime Time Cafe is one of my favorite places to eat. Can’t wait to read more about your trip! You have me itching to go to Disney!! What a fun two days! I’m so excited for you too!! Both are Nordstrom! The brand is Gorjana 🙂 . 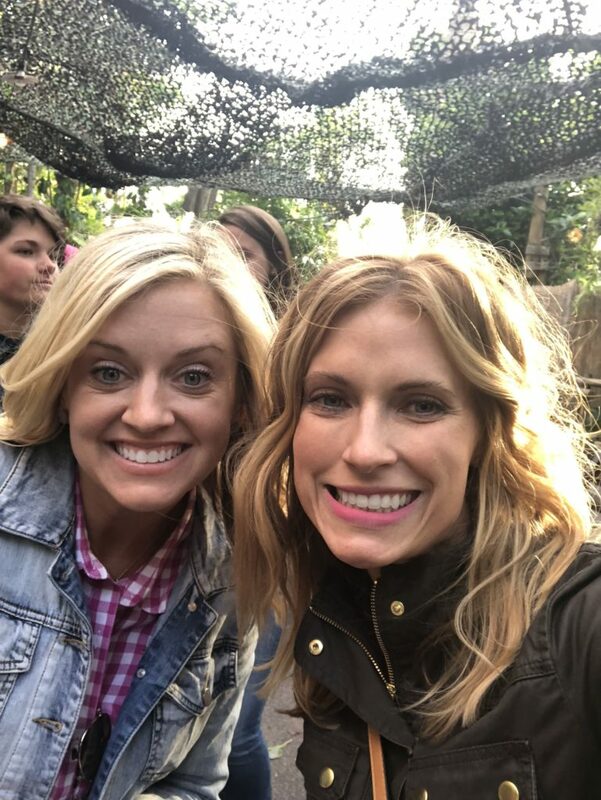 Loved reading your post and Erika’s too … you gals captured such different shots but together, they tell such a great story of the first 2 framily days !! Makes me reminisce our Disney trip last summer.. You’re right on point that the unplanned moments turn out to be the most memorable ! Cant wait to try a Disney cruise soon … just added to my bucket list !!! 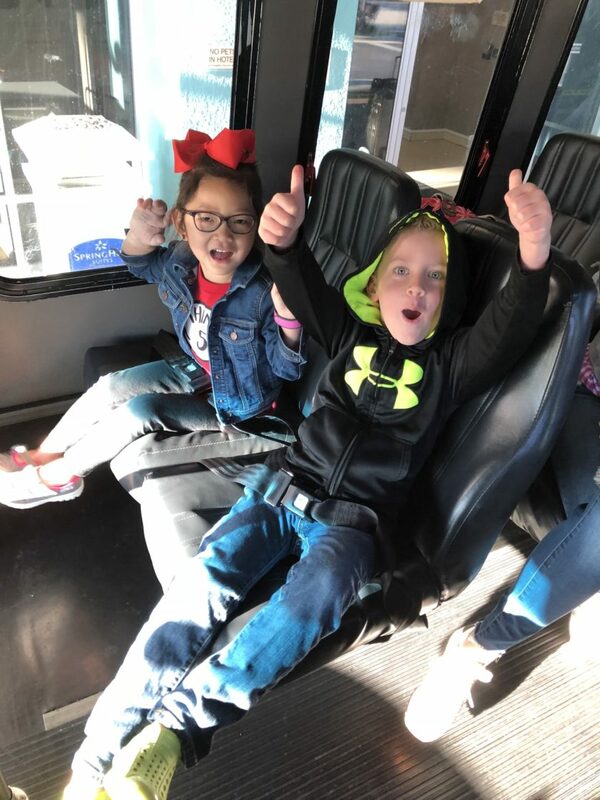 I loved reading this and seeing how happy the kids looked in the pictures! We are taking our kids to Disney for the first time in a couple of weeks-we are going with my parents and my brother and his family so 12 of us in total. 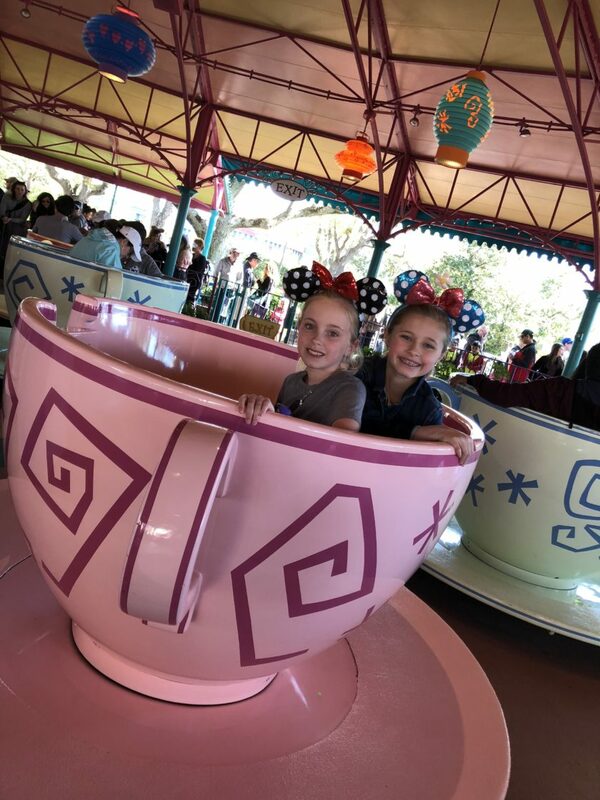 We have pretty much everything booked, but we have been trying to get a princess tea time for the girls in the family and have had no luck 🙁 It seems like we missed out not booking this super early, any tips to get a late reservation for this? Sometimes, we can grab a hard to get reservation right there in the 48 hour window before when unexpectedly, people have to cancel their reservation. 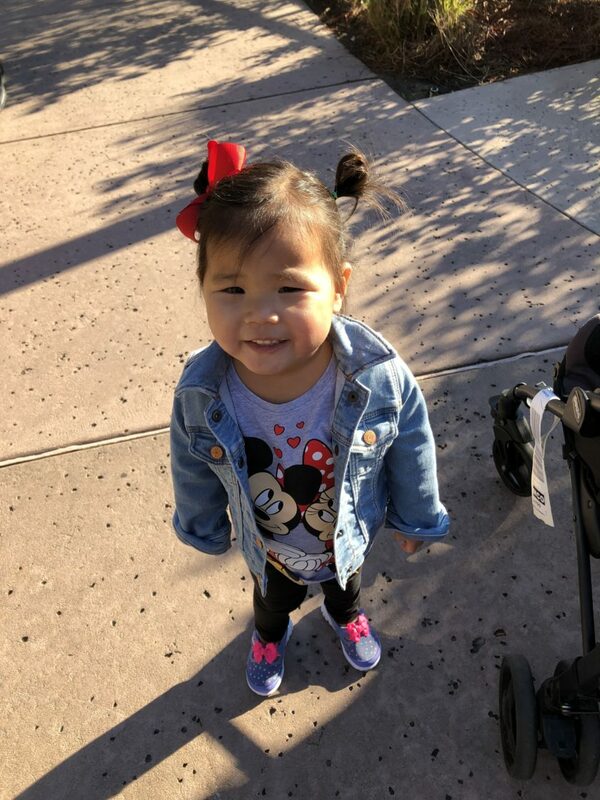 Admittedly, I didn’t read through every single comment so I apologize if you already answered this, but… what’s a good age to start going to Disney? (Ha, I’m 31 and I’ve still never been… we always went to cities and Delmarva beaches growing up!) I’d love to see a post that might describe Disney by the ages; it all seems very overwhelming to sort through! 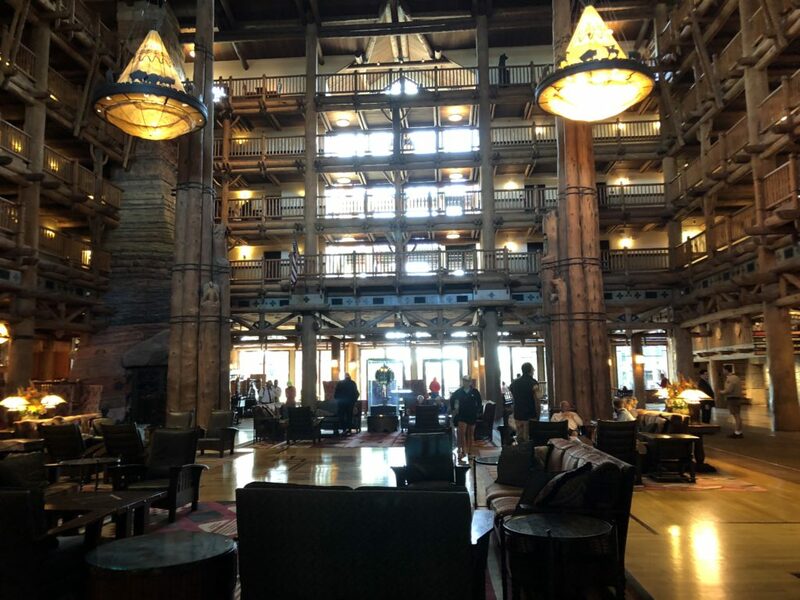 When I saw your Instagram picture I knew you stayed at Wilderness Lodge by the animal on the light fixture and the carpet.its one of my favorite resorts and they are actually building another one for DVC members and I can’t wait to stay there. 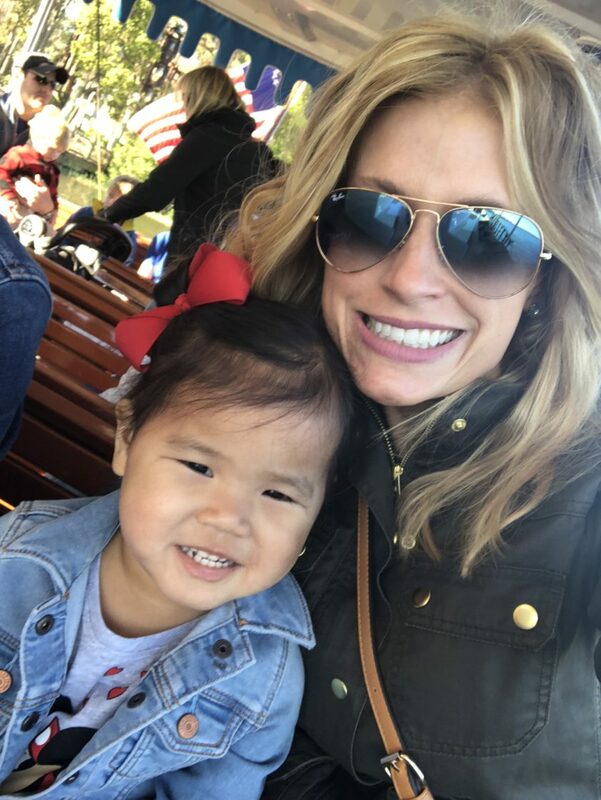 We love the boat rides to and from MK. I totally agree with you that no matter how many times to go to Disney you still haven’t seen it all!! We been about 23 times in the last 9 years and everytime we come back… we discover something new. 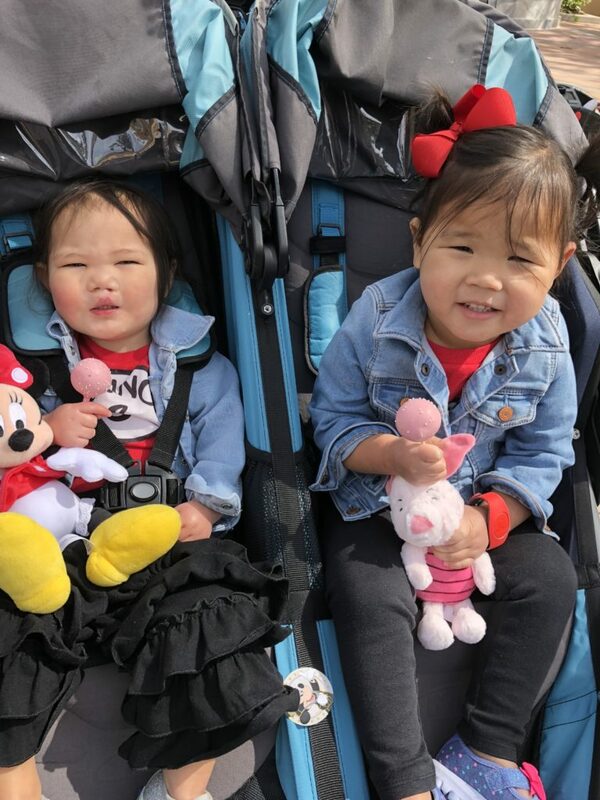 This past February we did Disney Land and Sea too and LOVE IT!! Love reading about your trips and can’t wait to read the rest!! We love love LOVE Disney & looking forward to taking our toddler on his first trip! 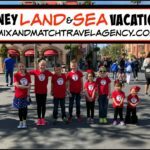 Are you an Authorized Disney Vacation Planner or is Disney an option to your travel agency services? Or is there a difference?! Thanks so much & I’ve always heard great things about Disney Cruises! 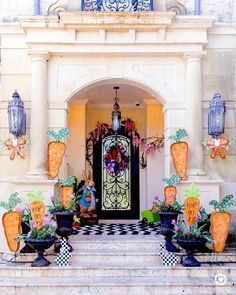 We may do that next year! 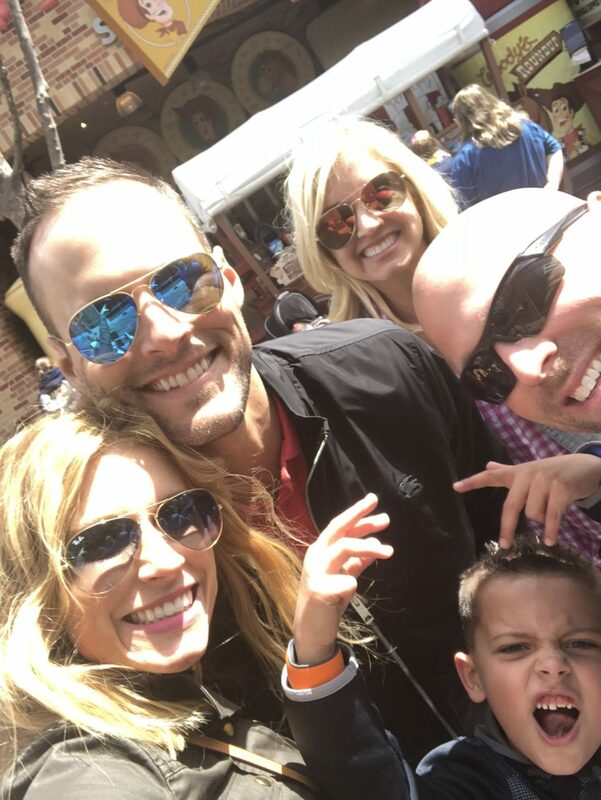 Thanks for sharing your family vacation! Looks like a blast was had by all! Through my host agency, we were authorized through Disney directly to sell their products (trained, tested and educated). 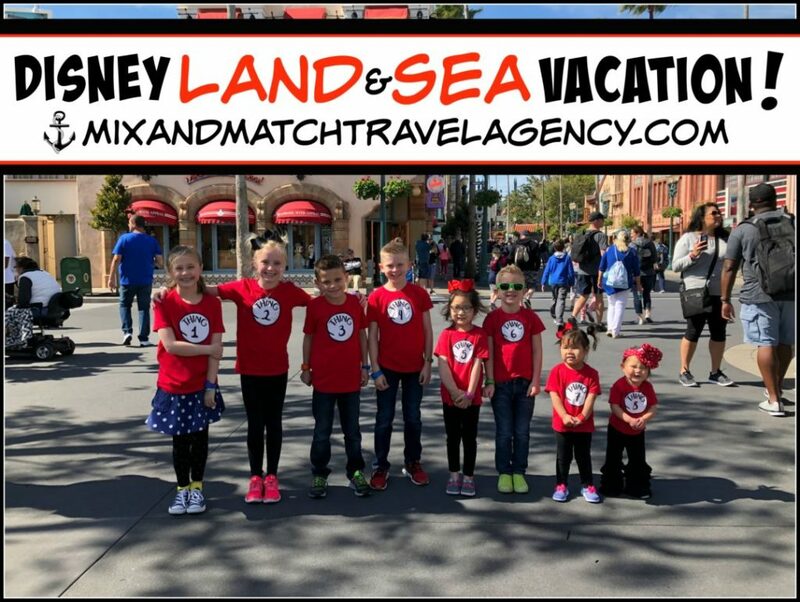 We offer our services to many other places, but we do a lot of Disney vacations. Some people only do Disney (and I know a lot of people who don’t do Disney at all), but we do both. You are so right about the over planning part. 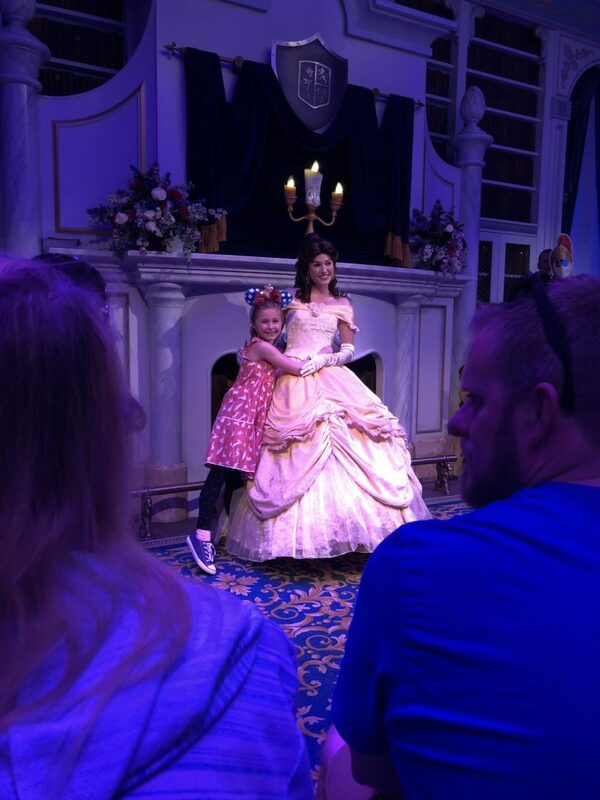 My daughter is 2 and I knew going in that we would have meltdowns and missed naps and probably not ride much of anything during our 1st day there because the ideas of Fastpasses were completely foreign to me, but you know what….she had so much fun (and still had meltdowns and no naps) and we LOVED every second of it. I’m sure you’ve answered before, but what lipstick are you wearing? Wilderness Lodge is on my bucket list. For some reason Bass Pro reminds me of WL so I always pretend when I’m walking in. If you go back anytime soon you need to check out the fireworks from Magic Kingdom… Happily Ever After with the projection on the castle is amazing! You are so right about not being able to do everything. We were there for 10 days in October and it was our 6th trip and ther are a few things I’ve never done still. Can’t wait to hear the rest, I’m thinkint of booking an Oct 2019 cruise. How fun!! I can’t wait to read day two! Ok, so I’m firmly in camp ‘Do everything’ when it comes to Disney. I’m like a park opener, park closer, squeeze in as much as possible sort of person. I know everyone is not like me and that’s totally cool. I’ve never taken a vacation with other people and I’m afraid that I wouldn’t like to because I know how I am (I want to go, go, go and see it all) – and I think I would get annoyed if I had to slow down or wait. BUT my mom is really pushing for a family trip, like my parents, siblings and their families – there’d be 15 of us – and I’m kind of wincing because I’m afraid I won’t want to do everything they want to do or the pace will be slower or I won’t get to do something I wanted to do, etc. 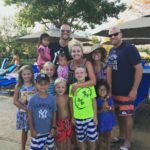 I know you’ve taken several family and framily trips so I wondered if you can comment on how you manage together time vs. taking time to do what you want, etc. Thanks Shay! 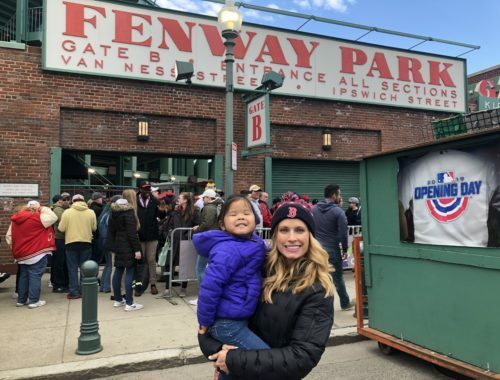 I’m loving the recaps and getting to see how your family travels. I feel like I learn so much from your travel posts! Unfortunately, a big part of the Disney portion of this trip was waiting in lines. When you don’t have a Fast Pass, you wait and wait and wait. We used the My Disney Experience app to track wait times, but rarely were they under 35 minutes. That’s the part that stinks with WDW…the waiting. It’s harder to cram stuff in when you’re spending literally hours of your day waiting in a line. I wish I could post a picture from when we did enchanted tales with Belle. 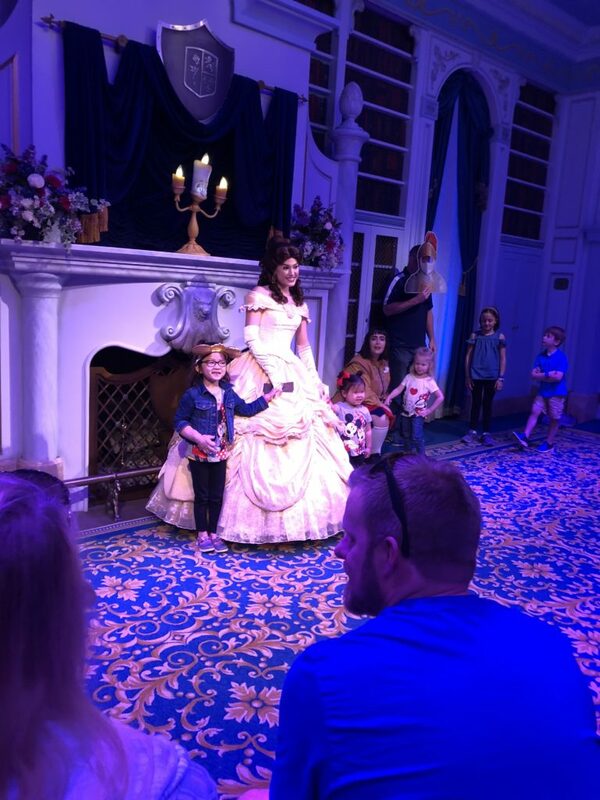 She was Beast and it was amazing!We went to WDW with our two kiddos, our son was 7 and our daughter was 4. We could not have had a more perfect trip. I’m an over planner, but thankfully we hit the highlights and called it amazing. For our son, he was old enough to ride pretty much every ride, but still young enough for things to feel magical. For our daughter, EVERYTHING was perfection. And you are totally right… the two most “pixie dust” moments were random unplanned things. The first was doing a quick ride on the carousal behind the castle and my daughter got to ride WITH the step sisters. The second was an unplanned second trip back to Tower of Terror (which our daughter totally WENT on! what?!?!). The second time she said she didn’t want to so I grabbed an extra fast pass for my husband and son. We got over there and of course she changed her mind. 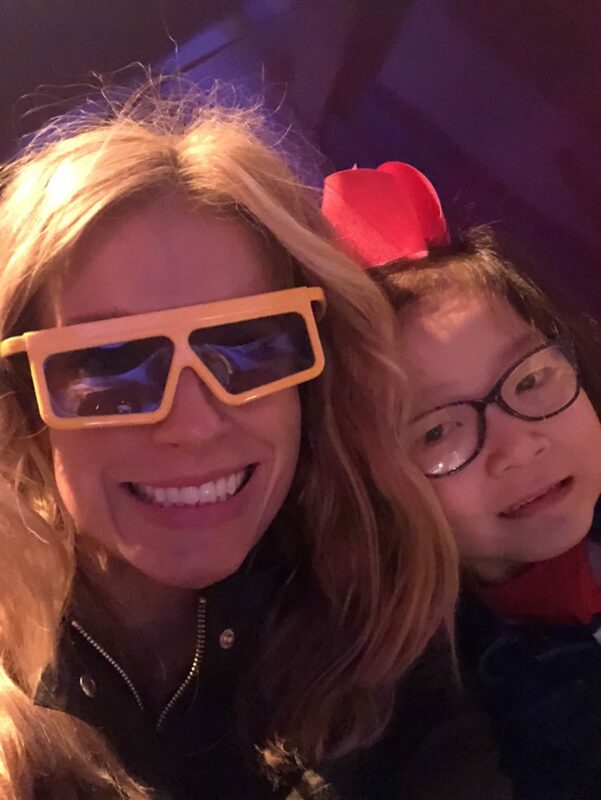 The sweetest cast member says, “Oh, I think I see some pixie dust.” and let my daughter and I join my husband and son for a 2nd time on the ride. Thank you for posting your amazing trip. It is making me want to plan our next one. But first step – buy our new house! EEK! 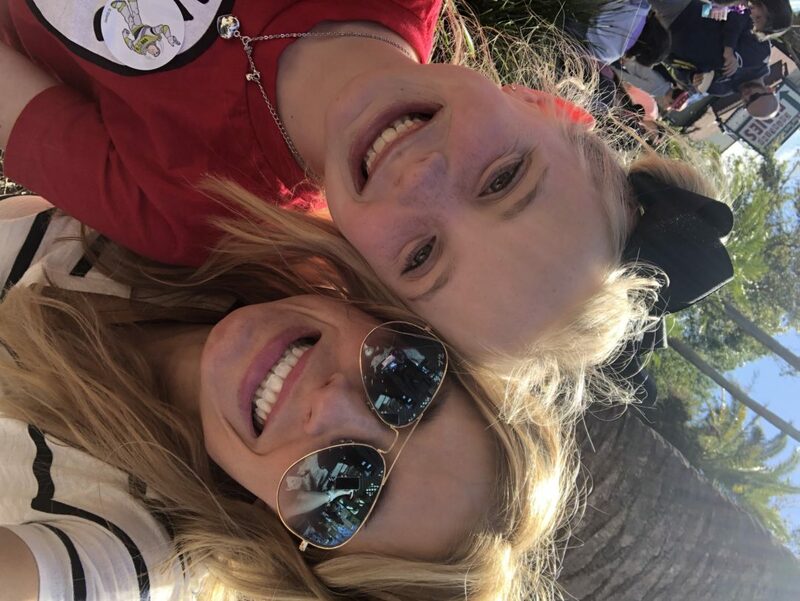 I love reading your travel posts, and I love everything Disney 🙂 Thanks for sharing, can’t wait to see the rest of your trip! Hi Shay! I have loved reading your posts! Did you guys do the Disney Dining Plan or just pay as you go for meals? Also, which stroller did you take? Was it a pain to have to collapse it for the buses? 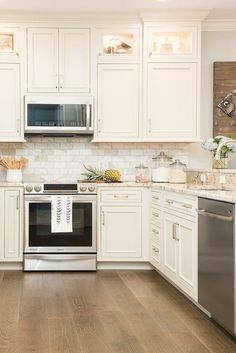 We did the dining plan! 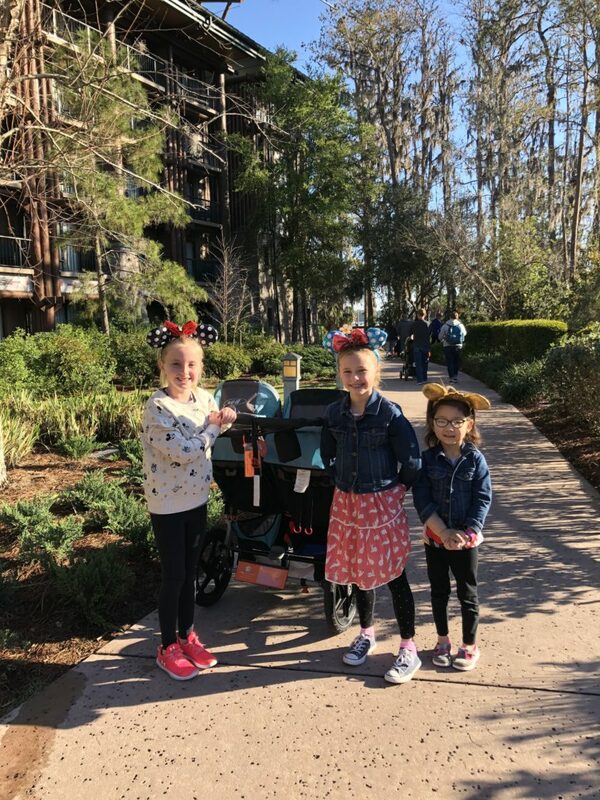 Also, we rented that big double stroller there at Walt Disney World. Andrew or Tab messed with closing and loading it, but they didn’t seem to mind. Hi Shay! I went to your travel site to check it out in hopes of learning more about planning our own vacation, but the website was all wonky and un-readable. There may be something wrong? Right now, the best thing to do is email me directly. mixandmatchtravelagency@yahoo.com . I’d be happy to answer any questions you have!! 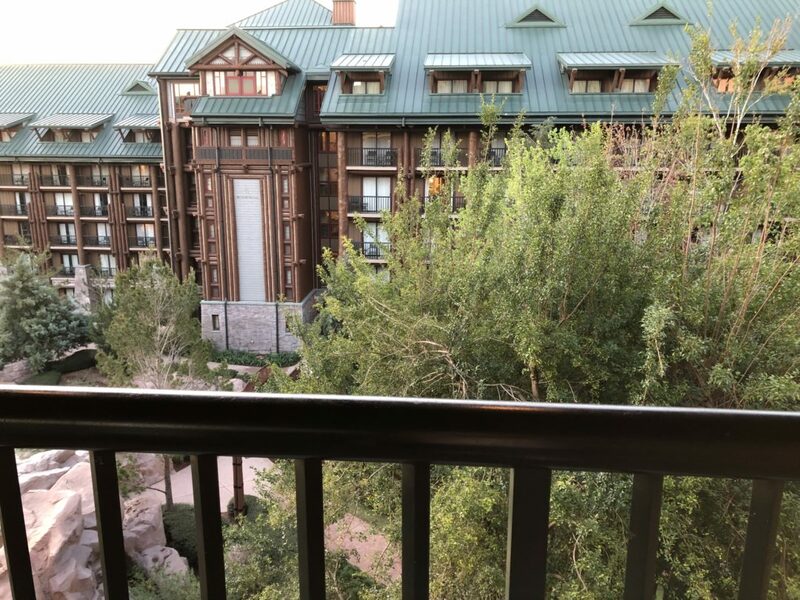 The Wilderness Lodge is my favorite hotel and when my family talks about going to Disney, we always talk about which hotel to try this time? 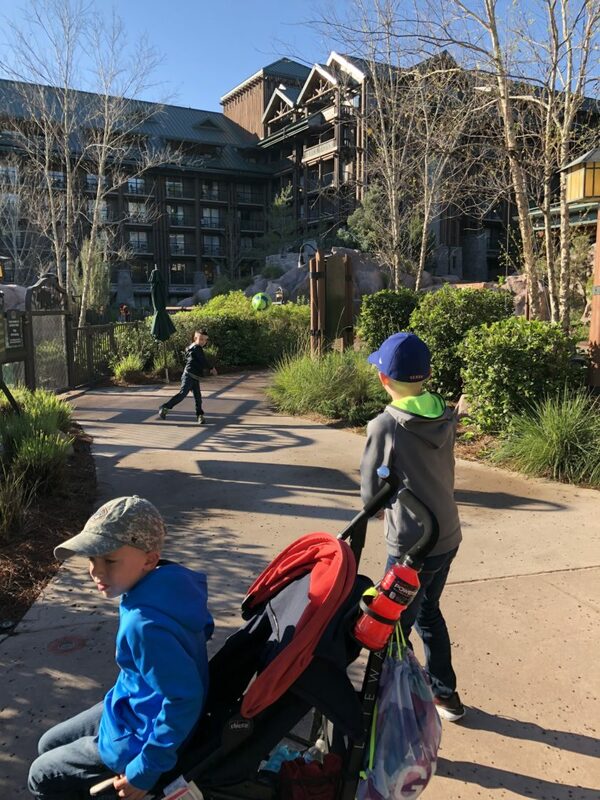 Then the comment is always made, it is so hard to not go home – meaning The Wilderness Lodge. LOL.. Glad you enjoyed the hotel. My favorite part is leaving the noise of the parks and walking into that lobby and hearing the soft music. 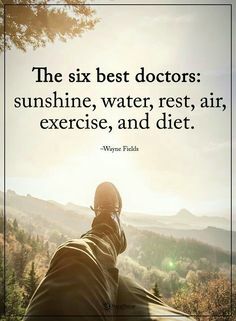 It just makes you relax. 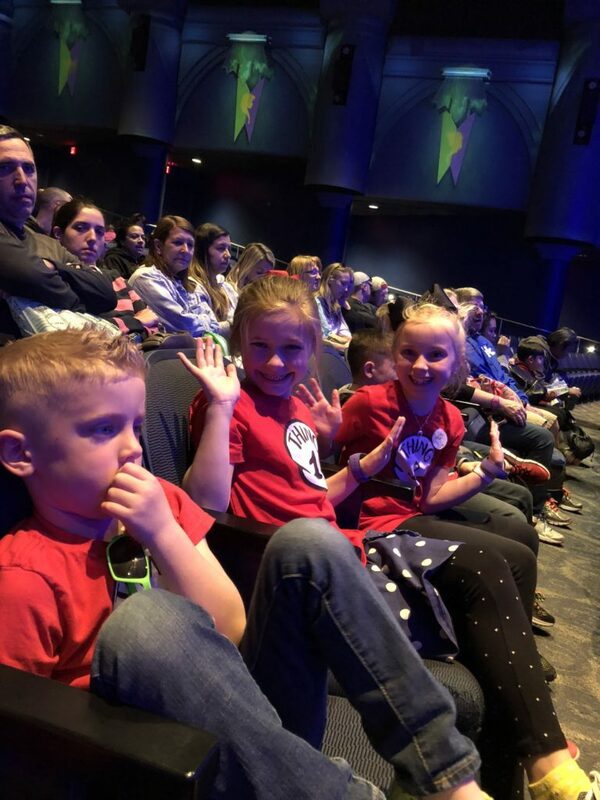 So glad your families had such a great time!